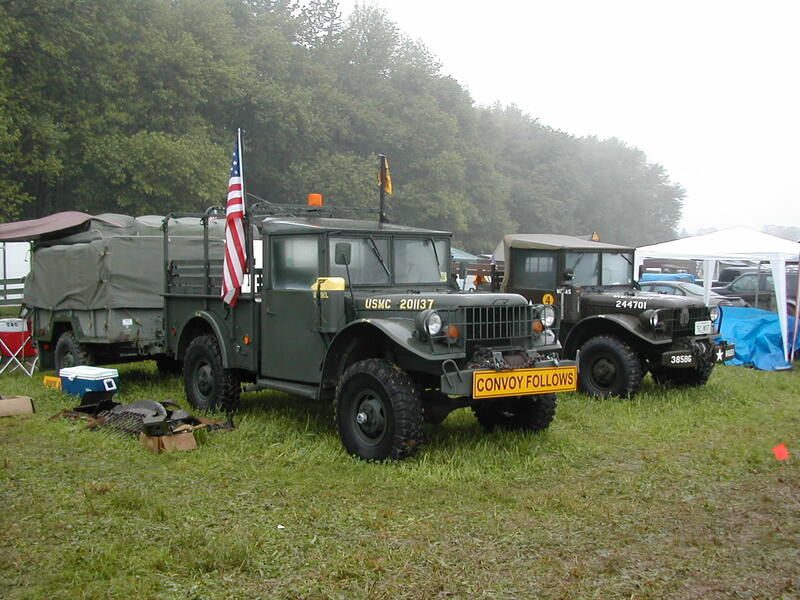 These are some photos that I took of the 2003 East Coast Convoy and at the Churchville Rally that was the convoy's destination. 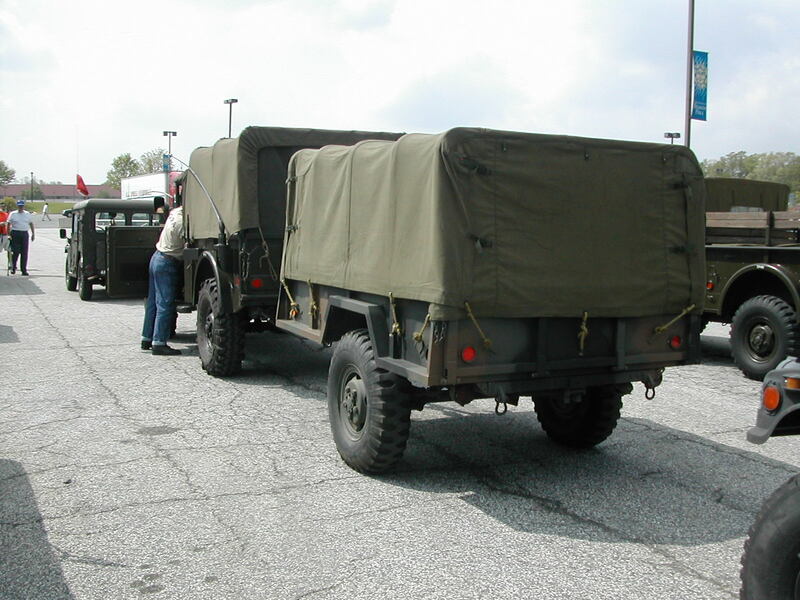 I departed from Raleigh with a passenger and a fellow military vehicle owner who had driven his M35 (deuce and a half) down from Morganton the day before on May 8, 2003, and headed for Doswell, VA. 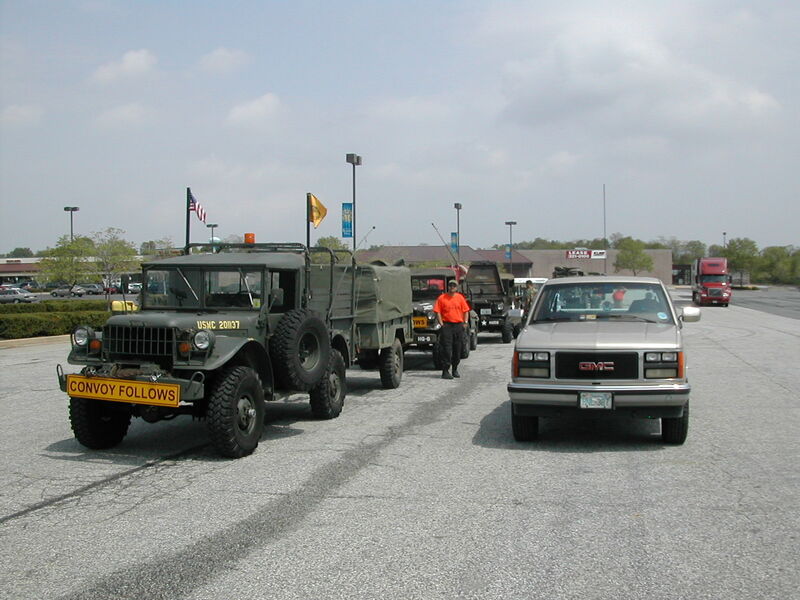 In Doswell, we were met by a friend of the convoy organizer who had baked cookies and other goodies for us, and we joined up with several other military vehicle owners from Virginia, South Carolina, and North Carolina for the ride up toward Maryland. 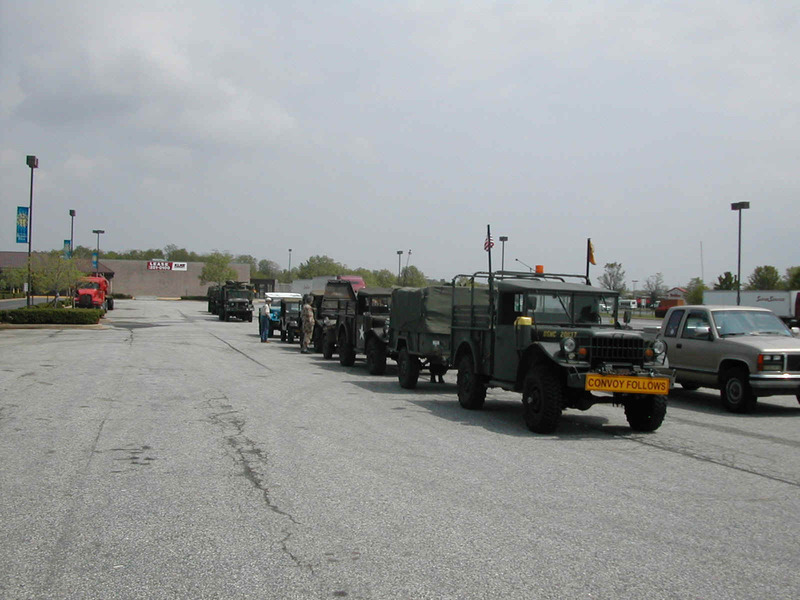 In Millersville, MD, we again stopped and met a group from West Virginia, Maryland, and northern Virginia and rode up through Baltimore toward Aberdeen (went through the harbor tunnel). 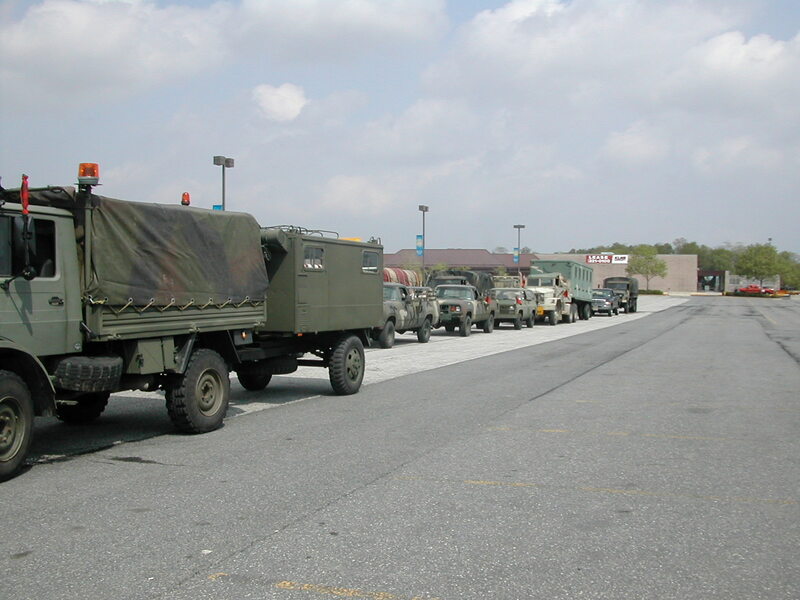 In Churchville, we lined up in a long single file line in a Golden Coral parking lot and waited for the folks who were convoying down from north of the rally site (some from as far away as Canada). 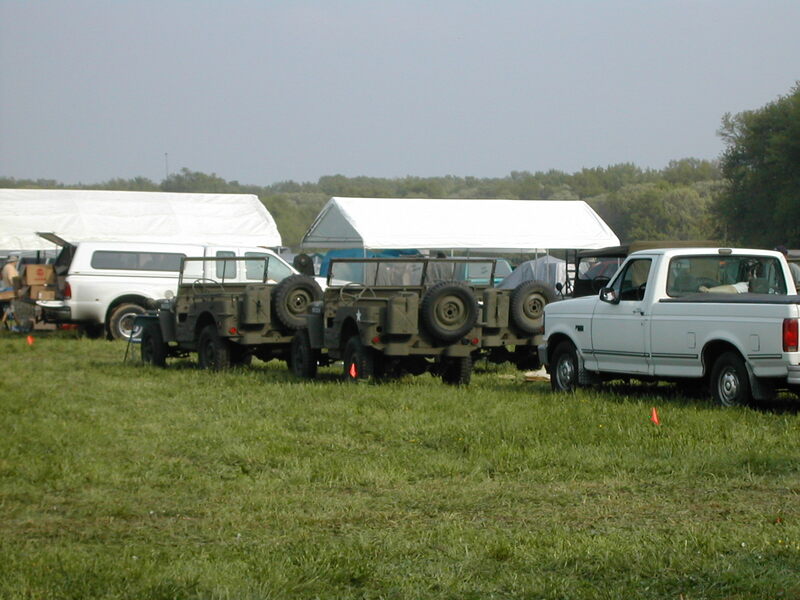 We all got a charge out of seeing the other guys come down the hill to the parking lot in a big ol' column, and we all did a lot of horn honking and waving, before we all settled down and headed out for the short ride to the rally site. 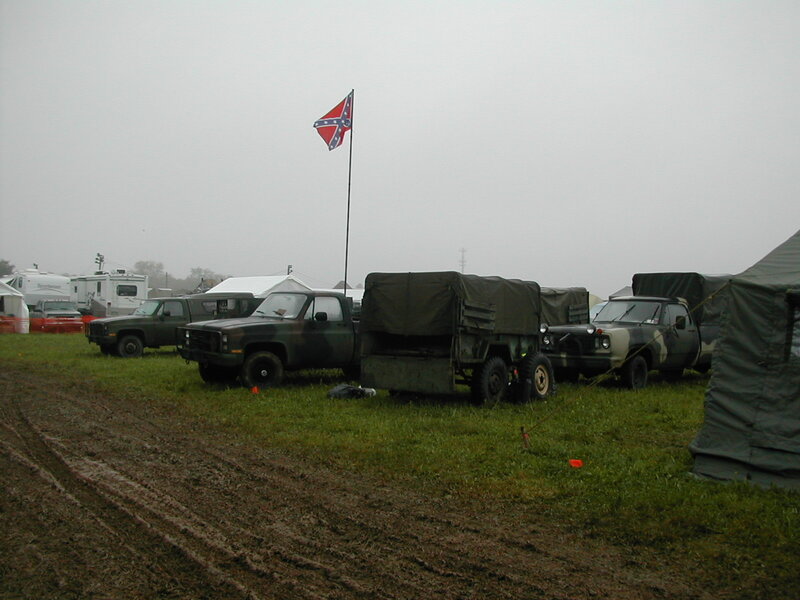 At the rally, we had three days of rain, some sun, a lot of mud, and great bull sessions, parts purchases and trades, and a lot of fellowship. 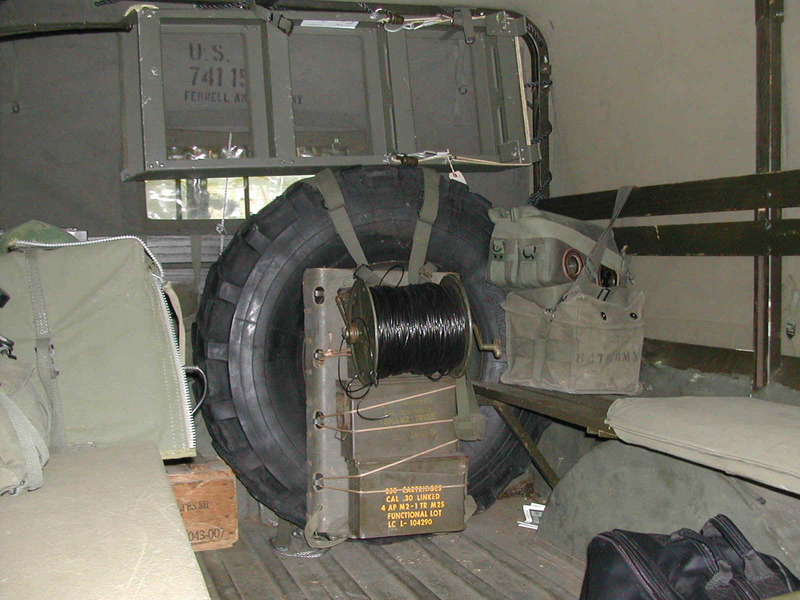 It was great to be able to put faces to names of folks that I had only known from email or phone conversations. 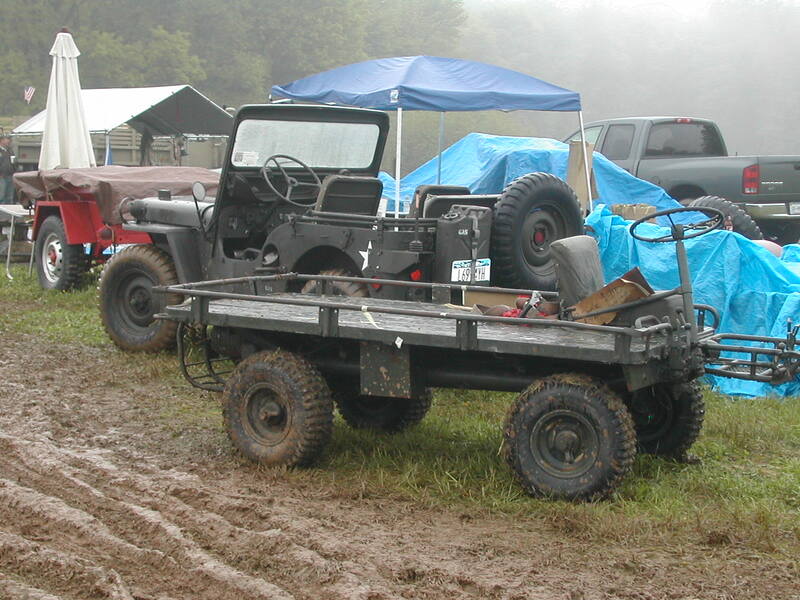 On Saturday, our group from the Carolinas, joined by some of the folks from Maryland and Virginia, pulled out of the rally area since we had already made our purchases, sold most of our spare parts, and wanted to get home before the weather got really nasty (forecast was calling for more severe thunderstorms...). 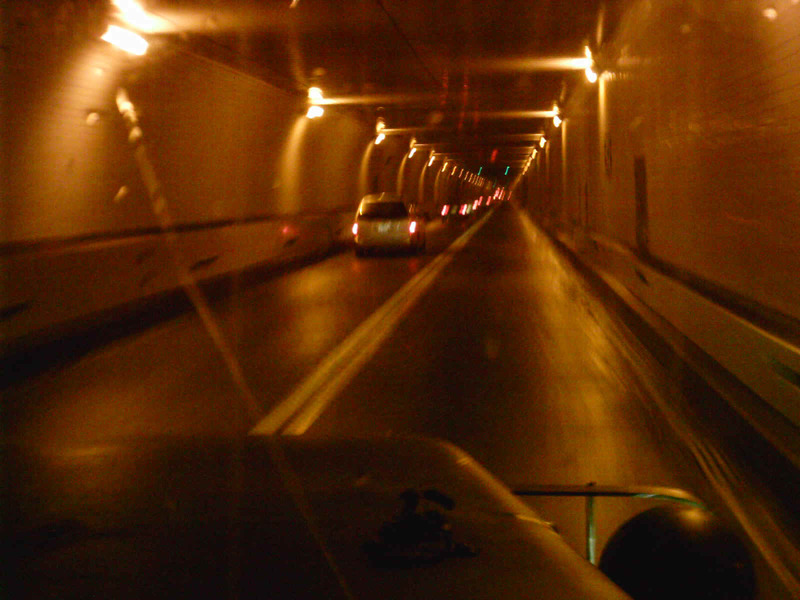 We drove back down toward home with folks turning off along the way to go to their respective homes with much honking and hand waving at each parting. 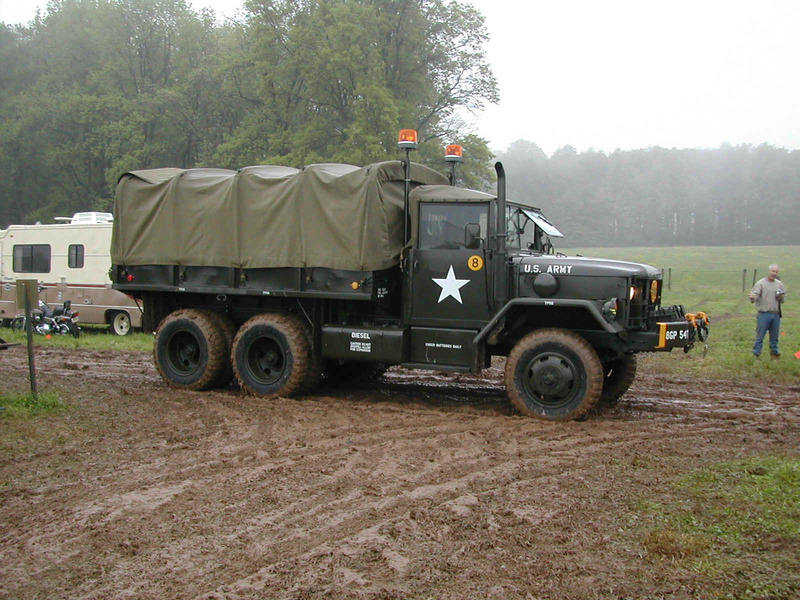 Along the way, we drove through extremely hard rain and hail at times so heavy that we could hardly see the front bumpers, but the water washed most of the weekend's mud of of the trucks and our shoes (my cab still leaks a bit...). 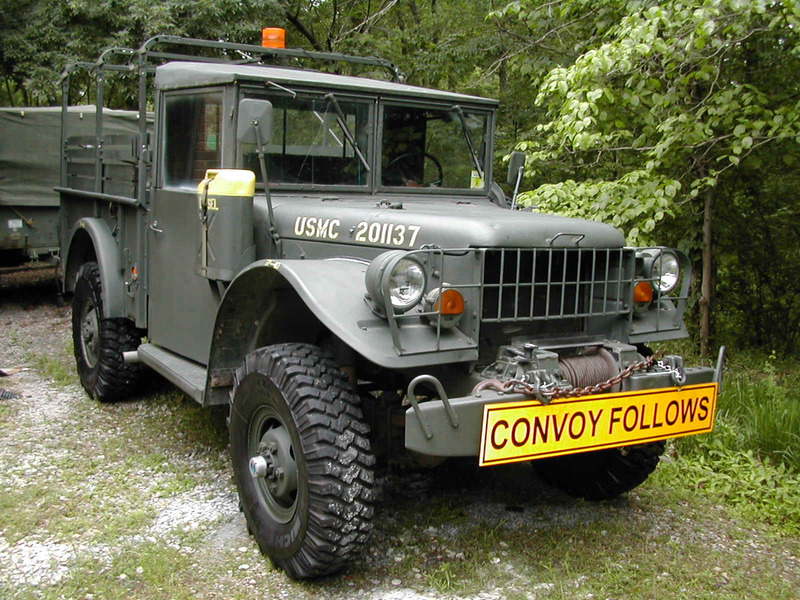 All of the members of the convoy from the south (the Yellow Serial) made it up and back safely with only a dead electric fan in the M37 (bad socket in the fuse block) and a shot M35 transmission (lost it's gear oil a few miles from home on the return trip but made it back under its own power) to detract from the trip. 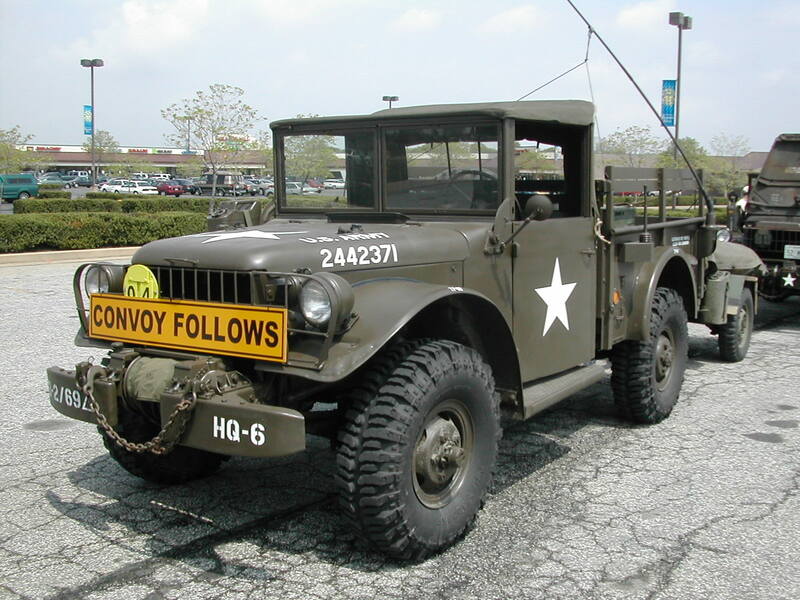 The numbers on the trip for the M37 with the M101A1 trailer in tow are: 735 miles, 17mpg, and one quart of gear oil consumed... (update soon). 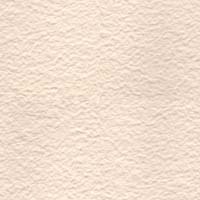 If you have any questions about the page or anything on the rest of this site, send me an email and I'll try to provide an answer... 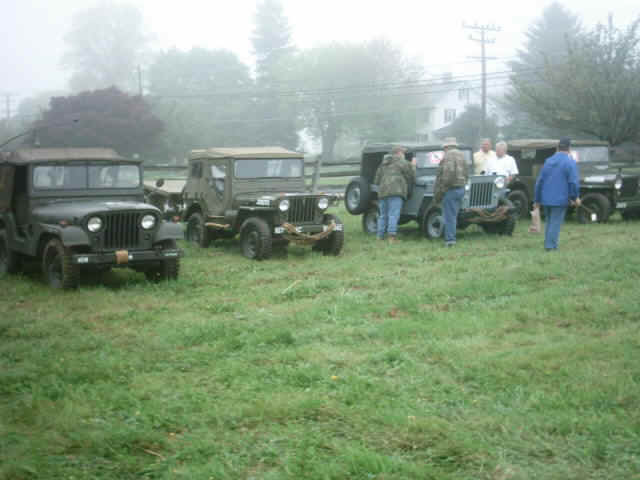 Please send me an email as well if you can identify the vehicles or people in any of the photos so that I can give them credit. 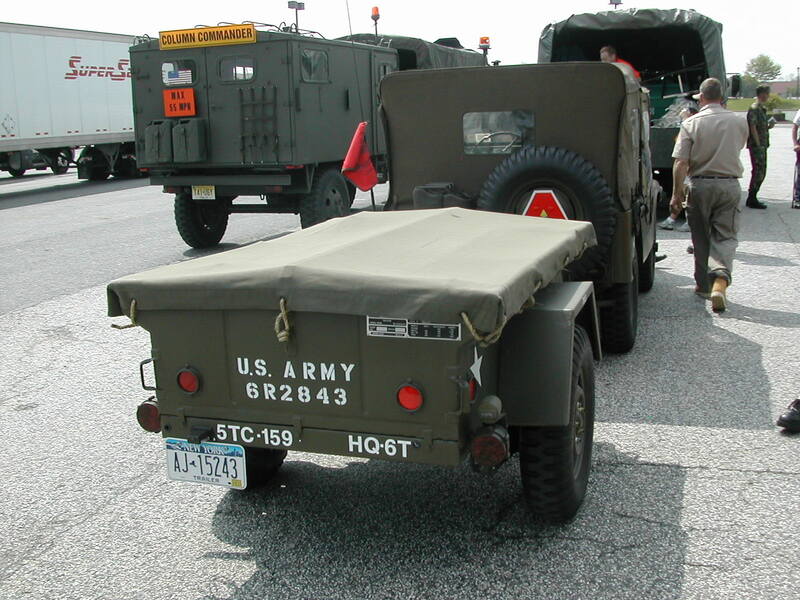 1 Getting ready to install the canvas cover on the M101A1 trailer prior to loading it with camping gear. 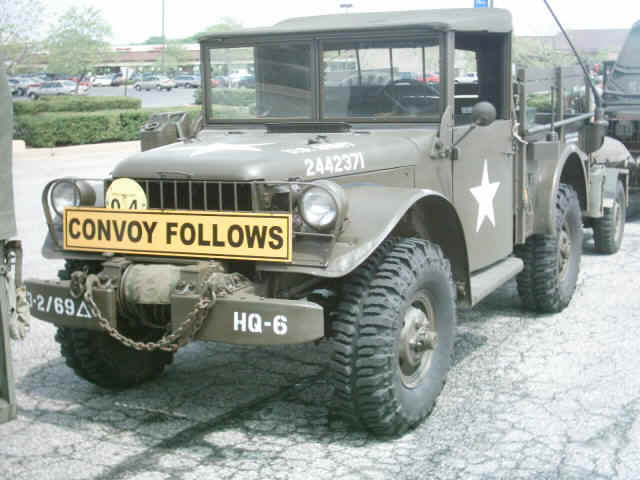 2 Shot of the M37 just after installing the convoy light and sign. 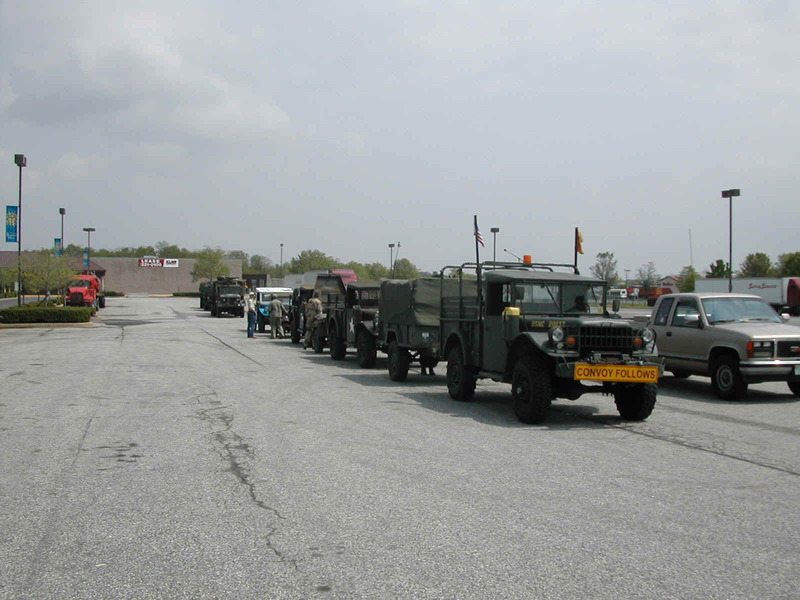 3-5 Yellow Serial comprising of vehicles from south of the rally location in line at the Churchville Golden Coral waiting for the Red and Blue Serials with vehicles from north of the rally location to arrive. 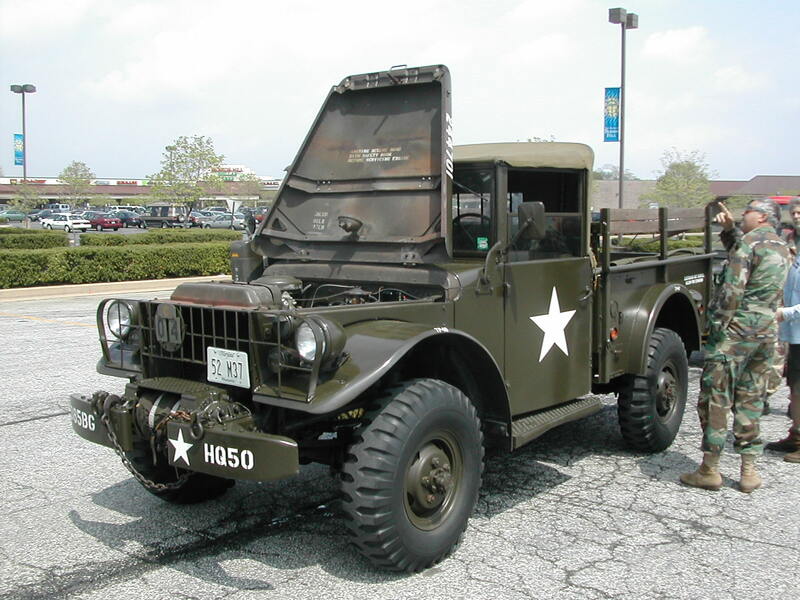 6 Eric Wright's M37 from near Annapolis, MD. 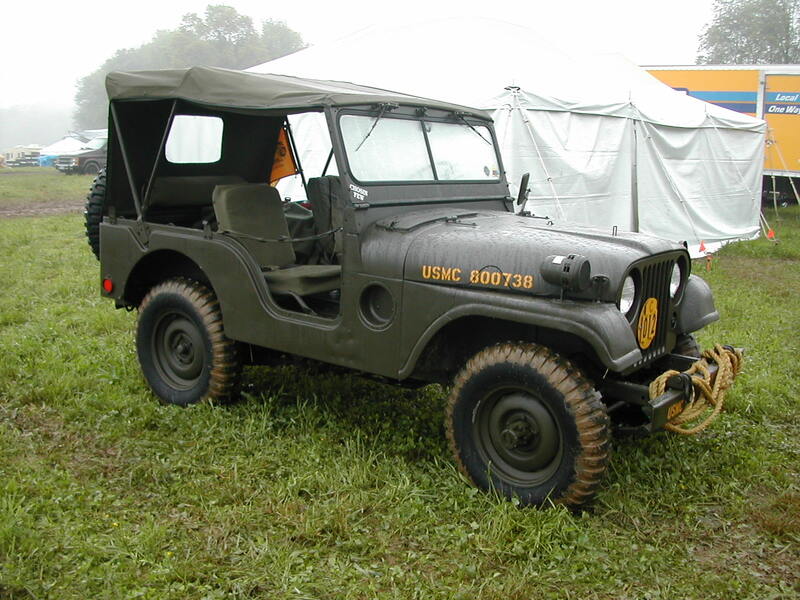 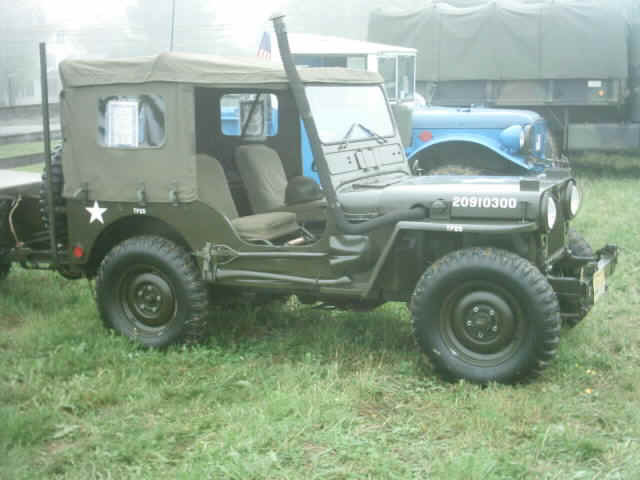 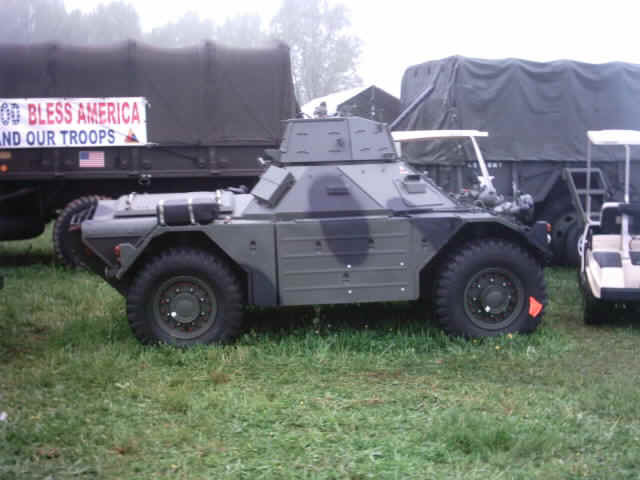 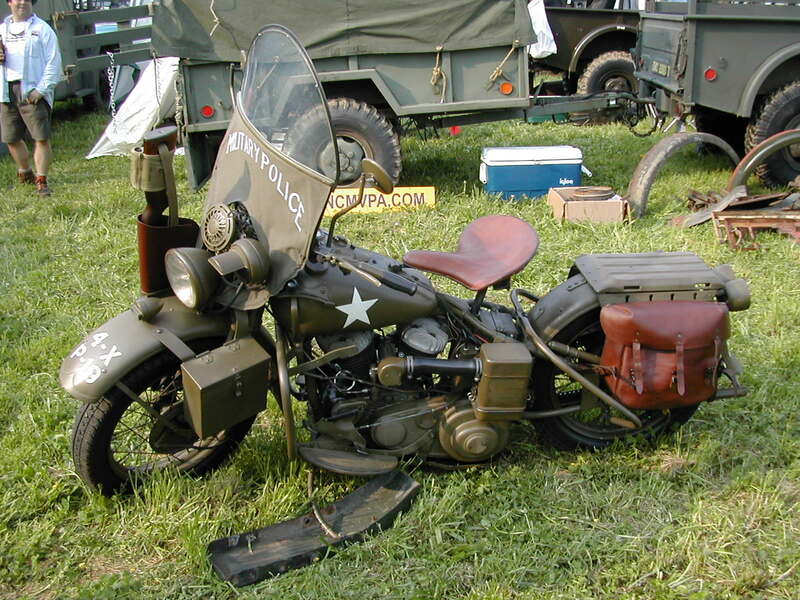 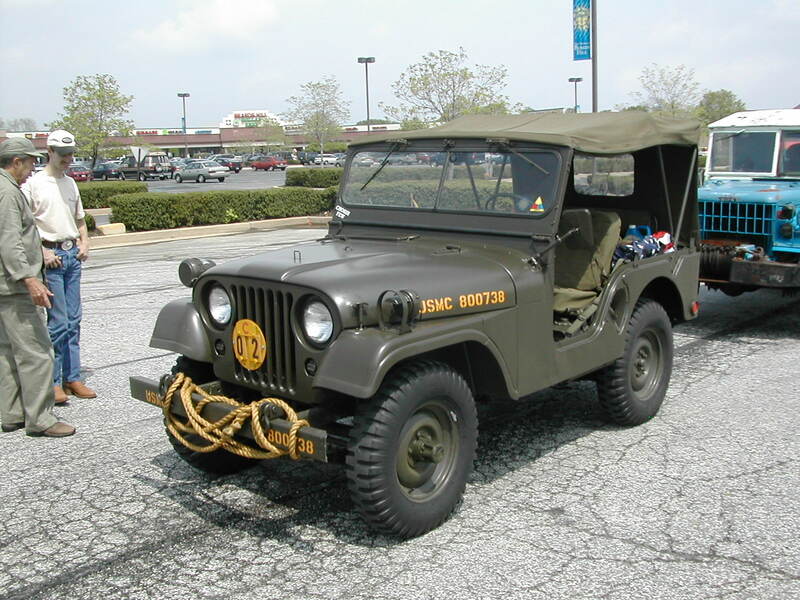 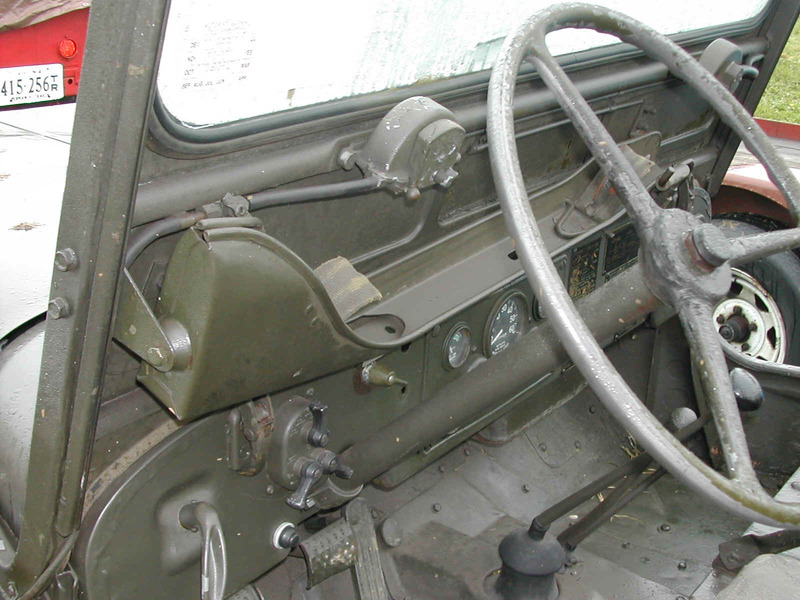 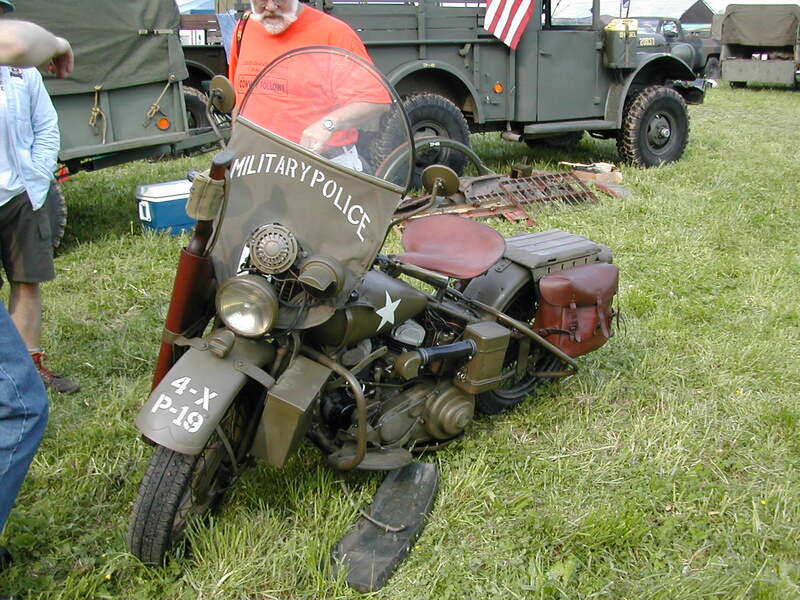 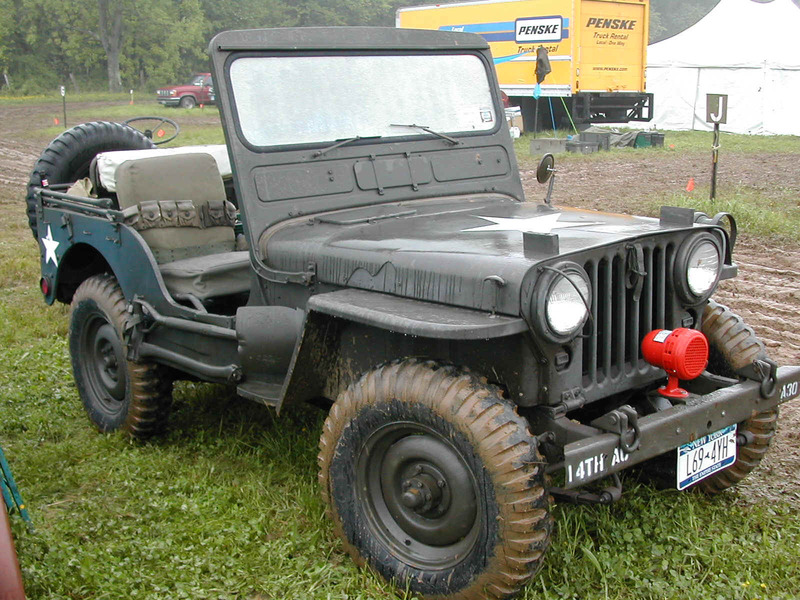 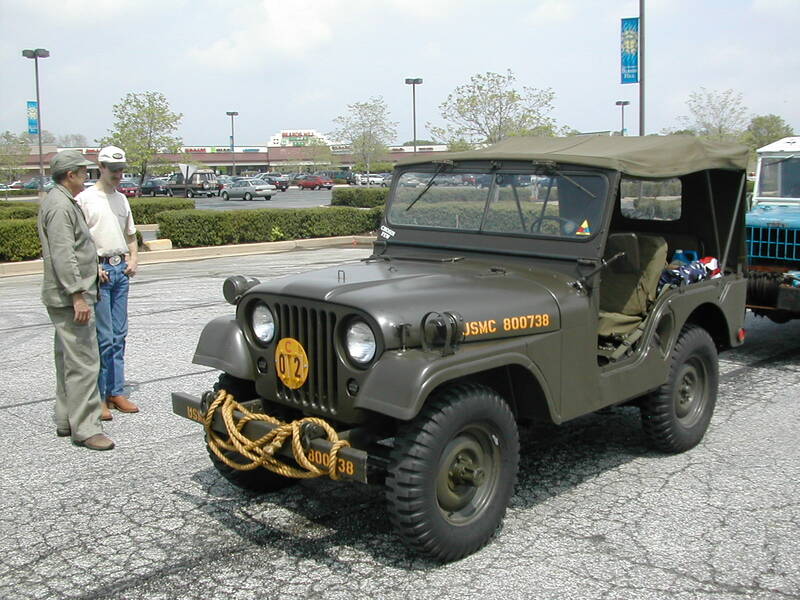 8-9 Don Doornbos' M38A1 from near Baltimore, MD. 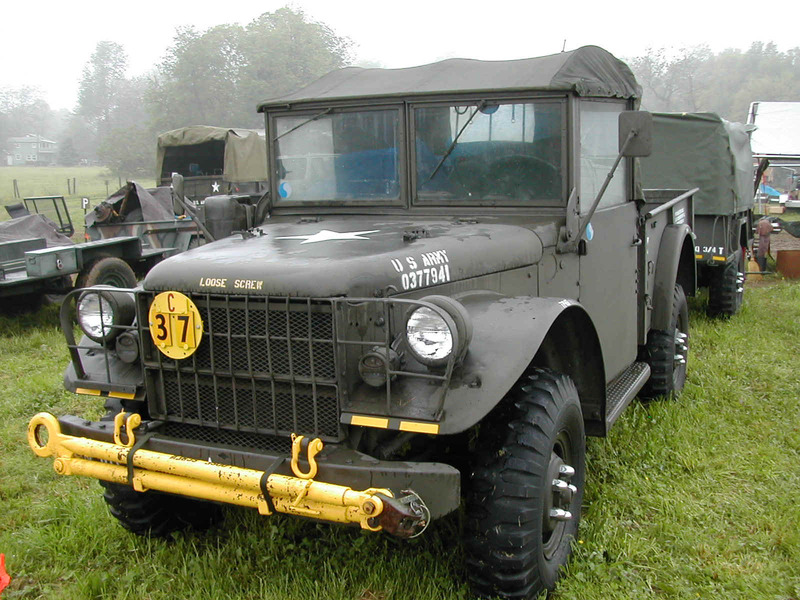 10 Tim Hardin's M37 from Martinsville, WV. 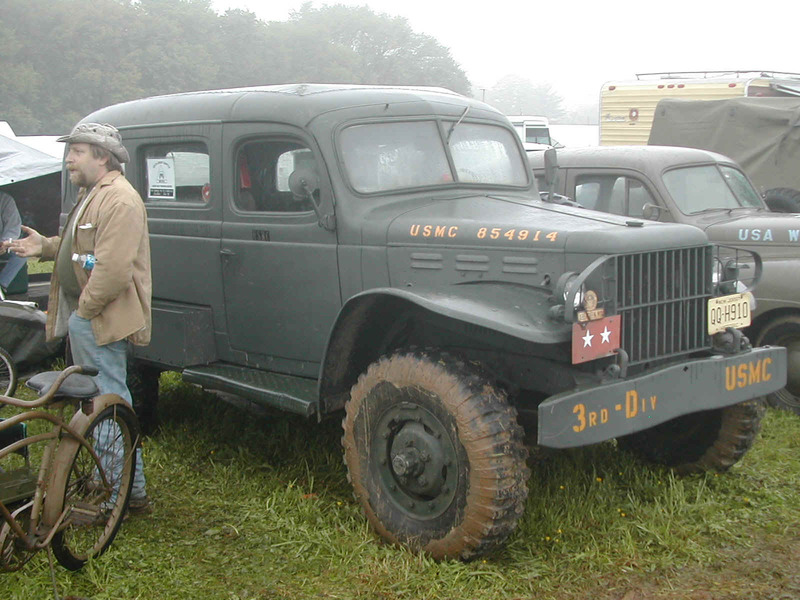 14 Brandon Cobb's M35 from Morganton, NC. 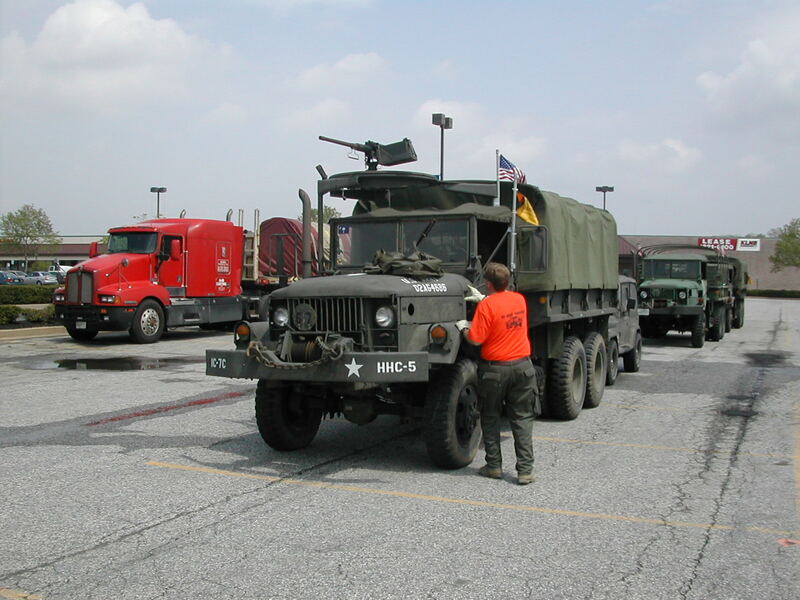 Acted as the "back door" or "tail end Charlie" for the Yellow Serial and never got to see anything in front of him for the entire trip but Joe Trapp's M35 or my trailer depending on the leg of the trip... Did a great job watching our rear on the Interstates. 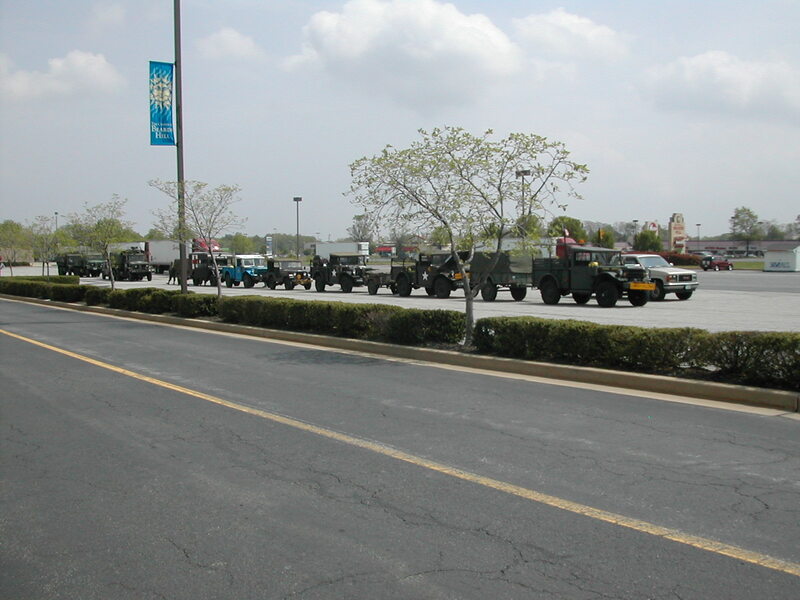 15 Yellow Serial all lined up and waiting (photo taken from the Wendy's where we decided to have lunch since it had a good view of the trucks...). 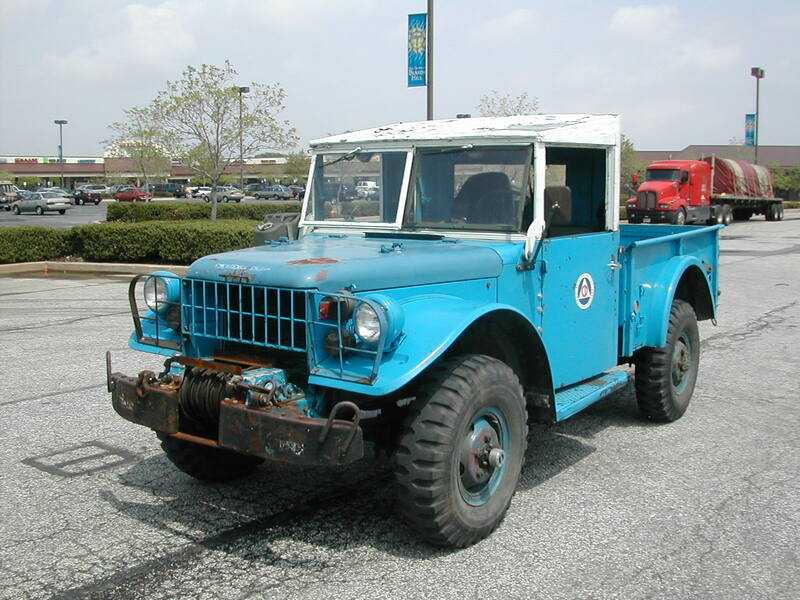 16-17 Bruce Kalin's M35 and Mike Popovitch's Unimog from New Jersey. 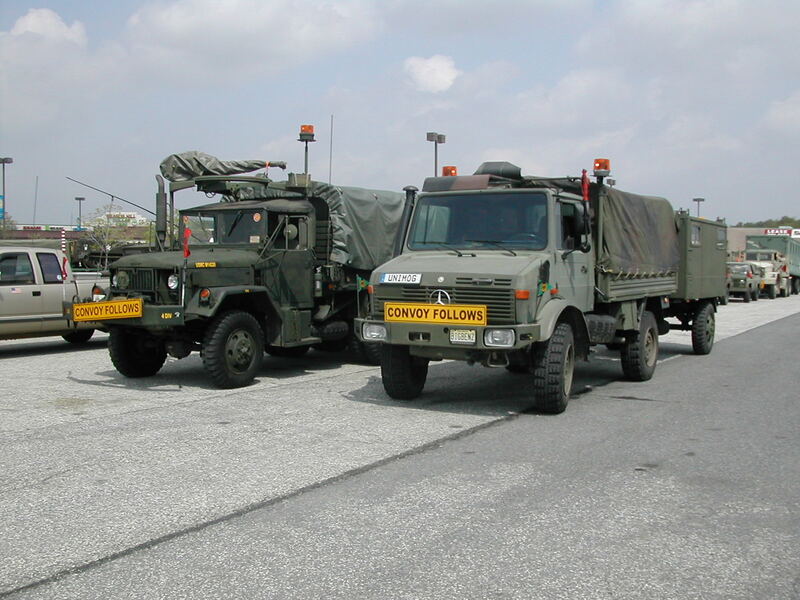 Our Convoy Coordinator and Column Commander vehicles. 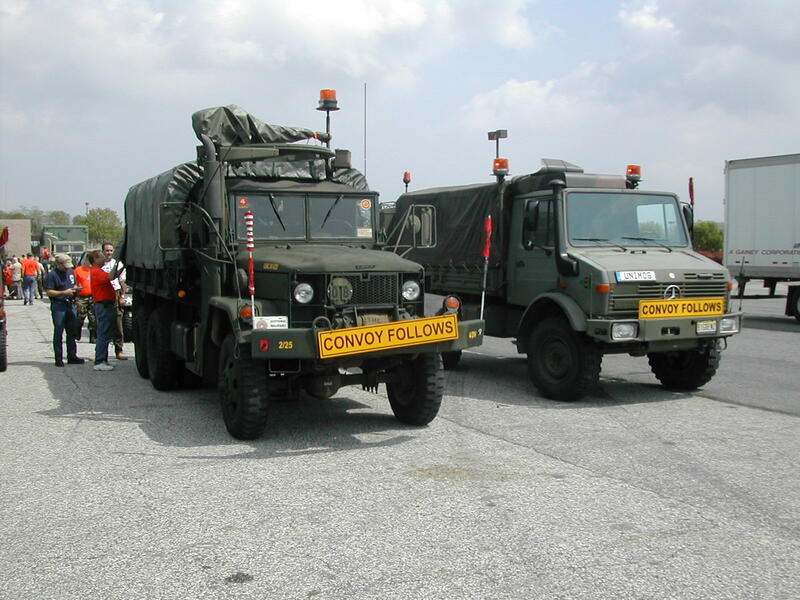 Both did a wonderful job organizing the event. 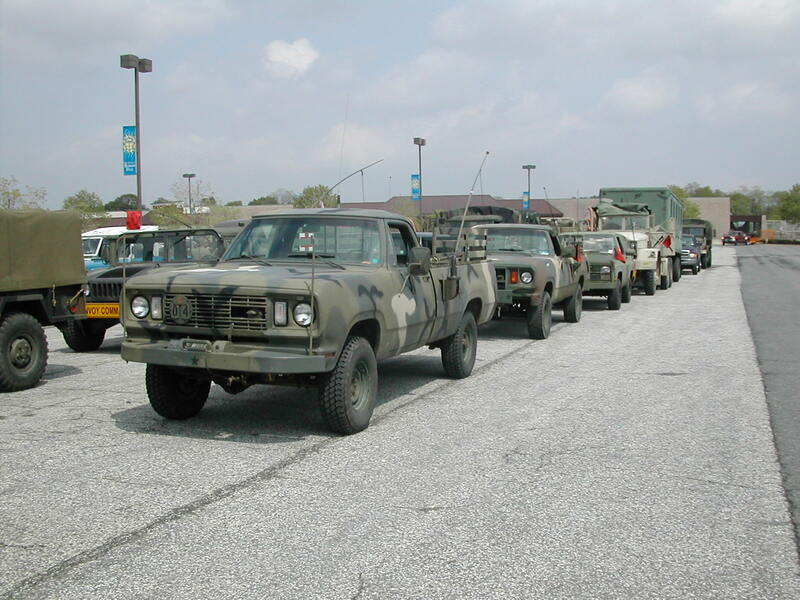 18 Shot of the line of vehicles after the Red and Blue Serials had arrived. 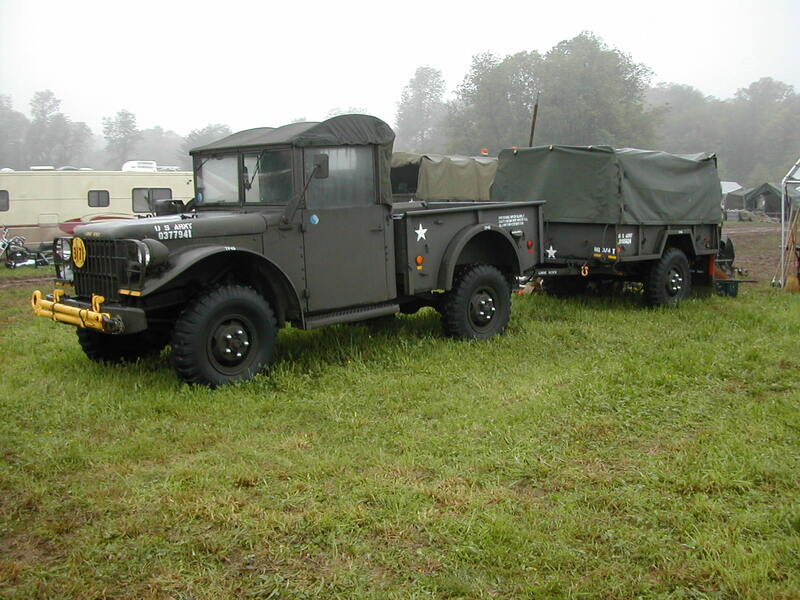 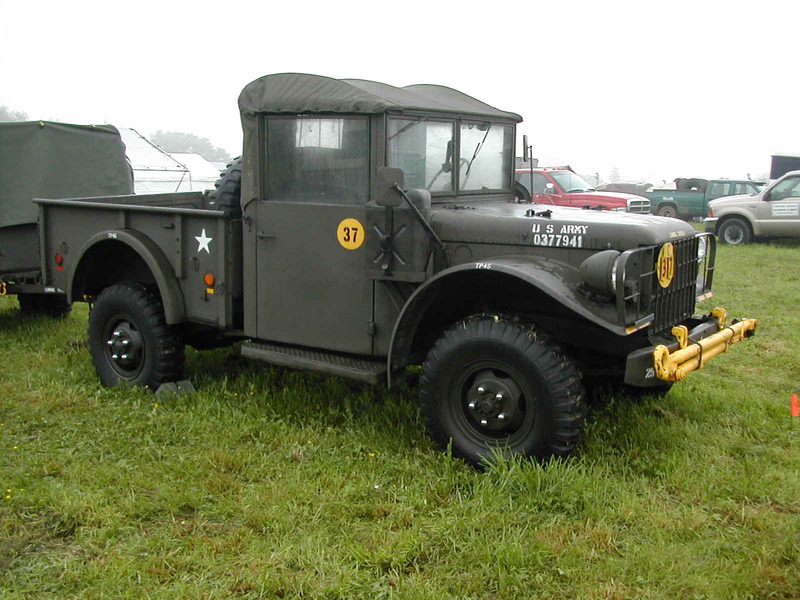 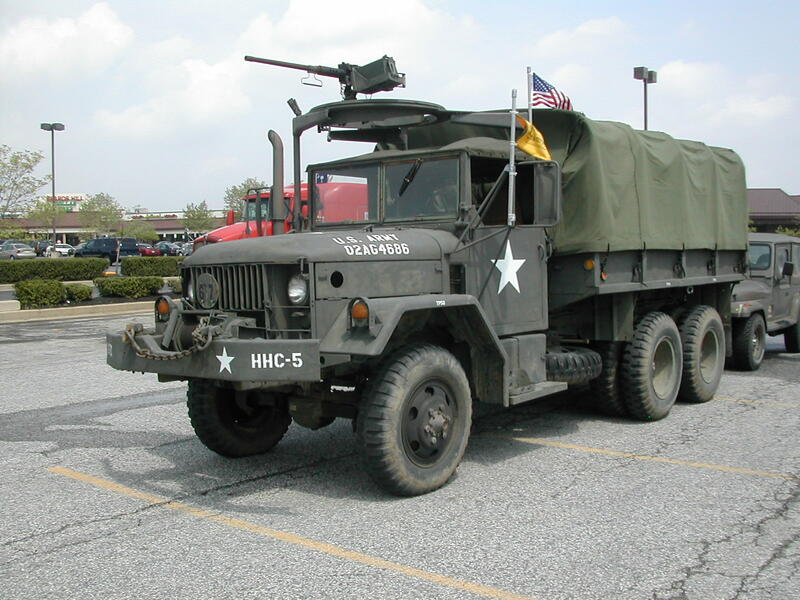 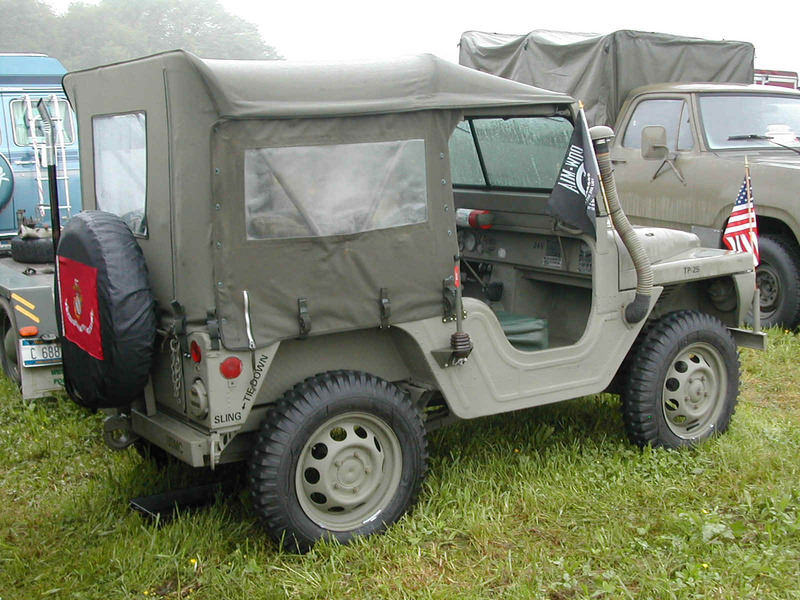 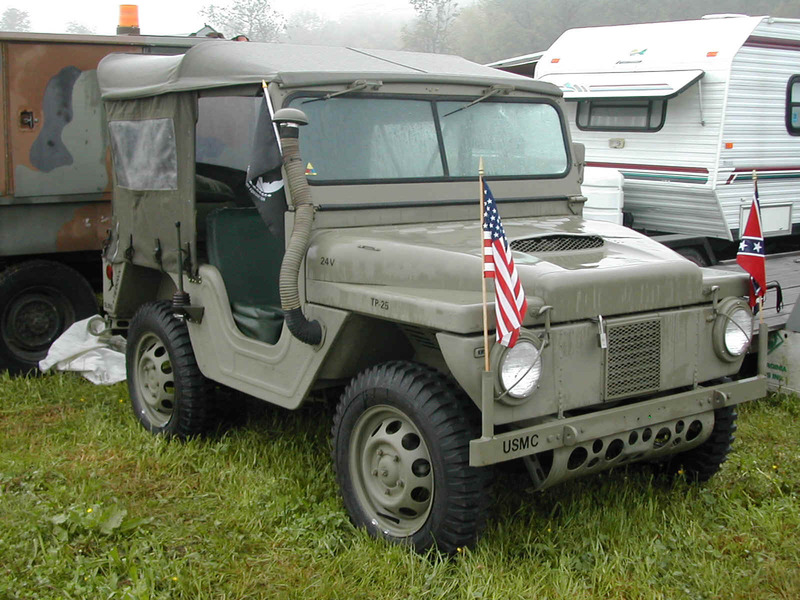 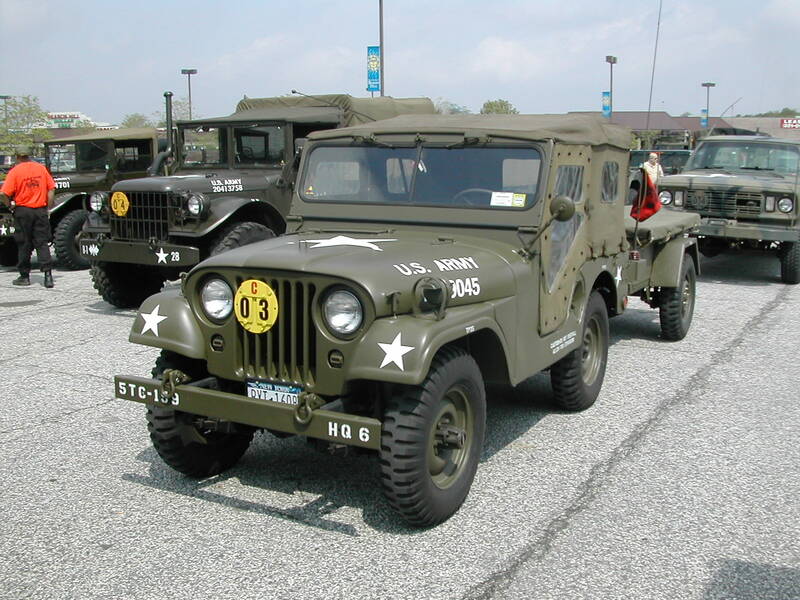 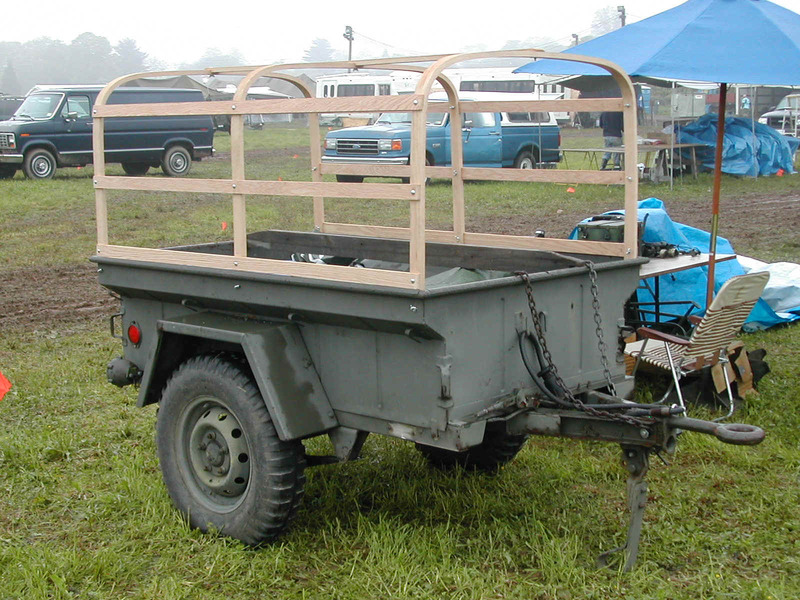 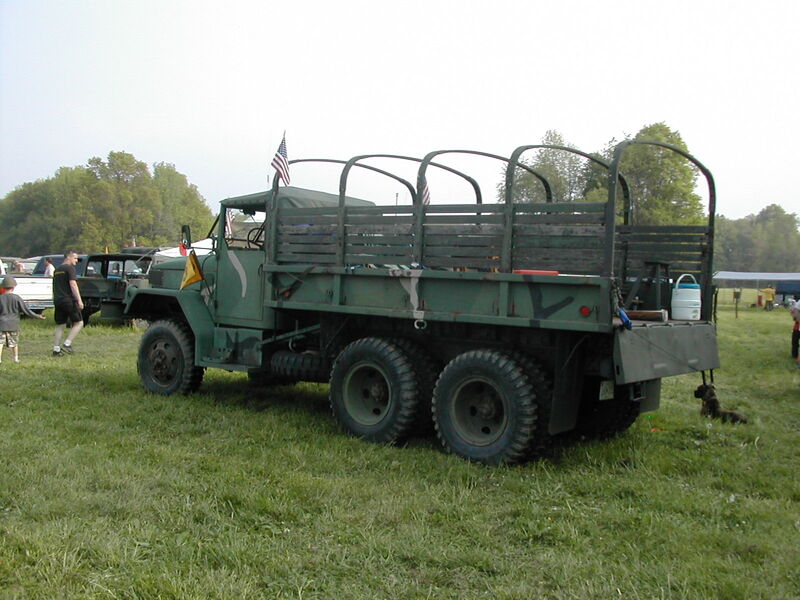 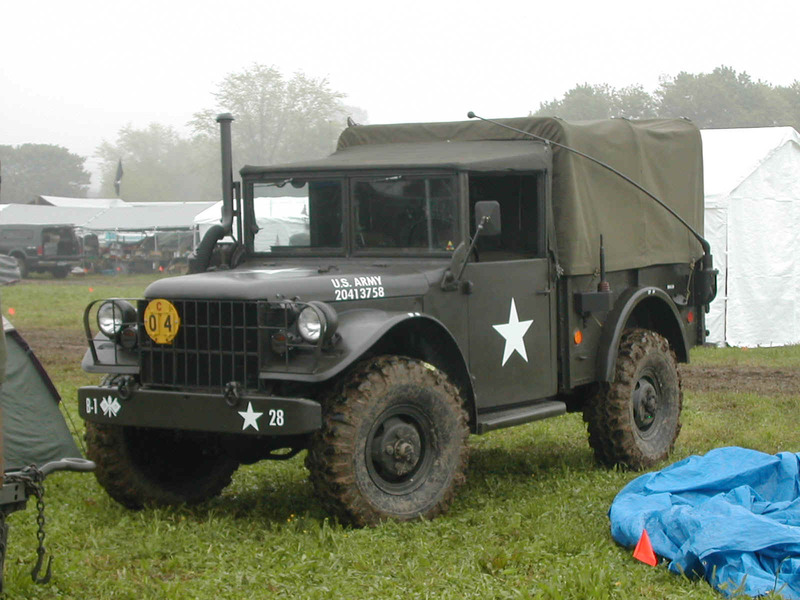 19 53 m38a1 and m416 trailer at the staging area in Maryland that is owned by Claude Bennett of NY. 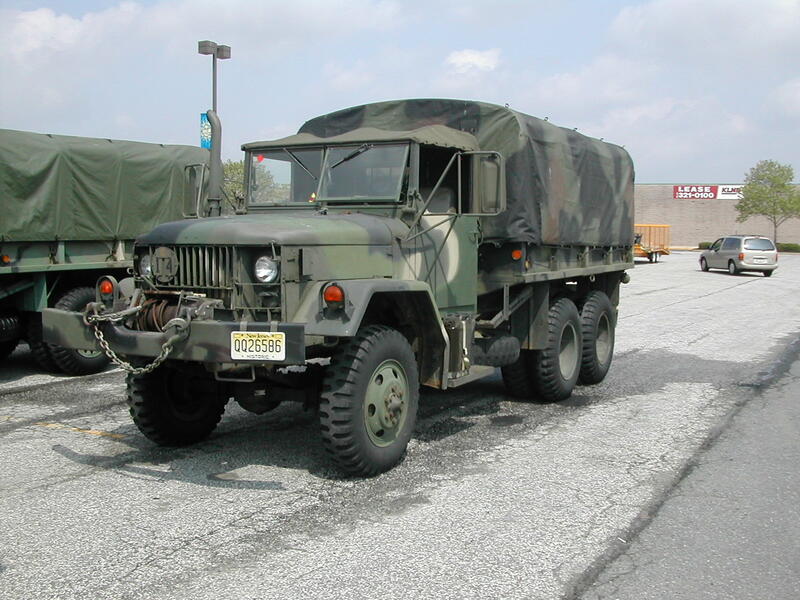 20 Ashley Campbell's Dodge M-882 from New Maryland, New Brunswick, CANADA, a 2200 mile round trip. 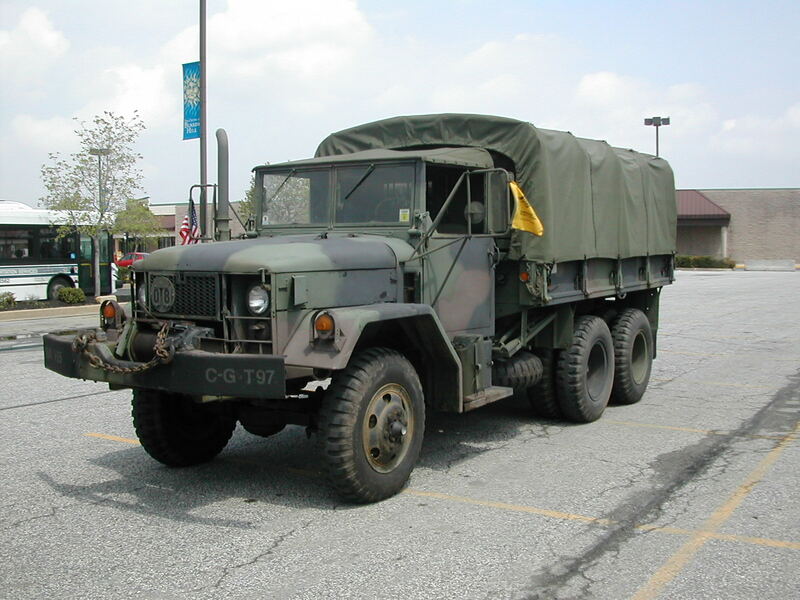 21 Fred Ogilvie's Dodge M-880 from New Maryland, New Brunswick, CANADA, a 2200 mile round trip. 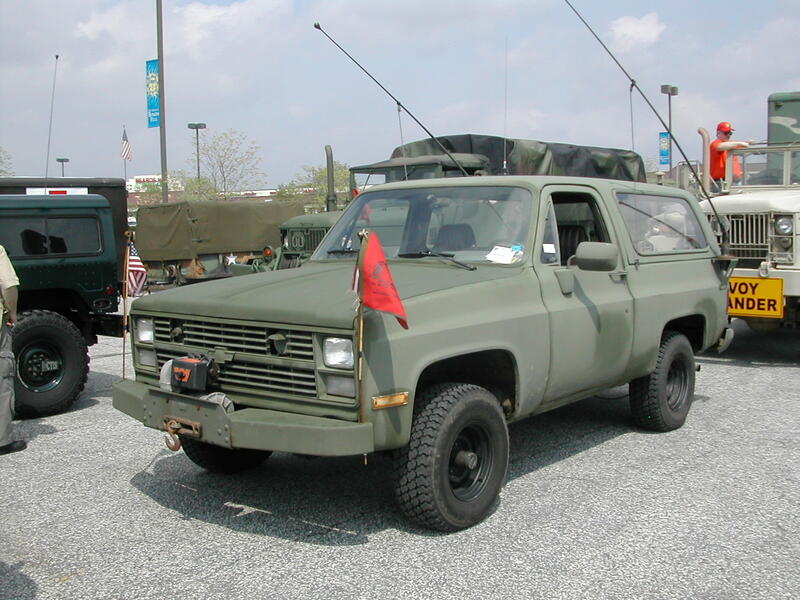 22 Wade Kierstead's M-1009 Blazer from New Maryland, New Brunswick, CANADA, a 2200 mile round trip. 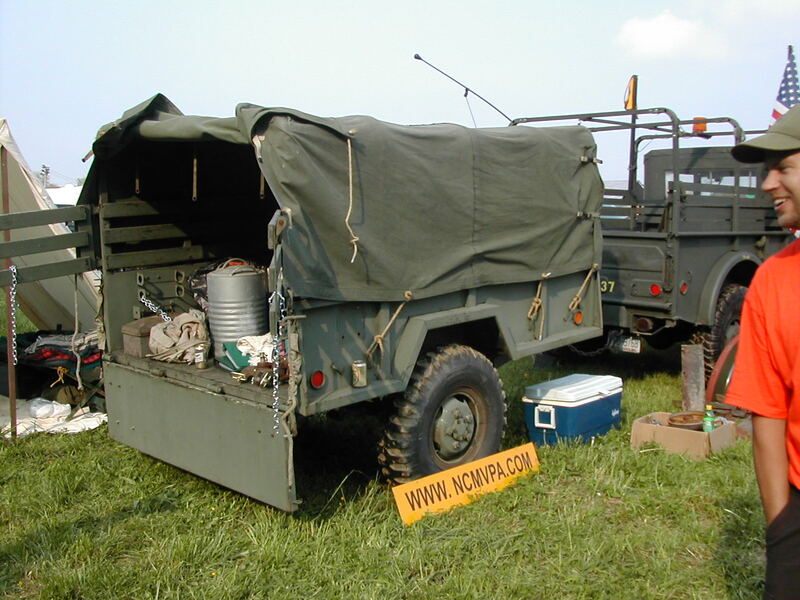 23 Convoy Commander Jude Meehan's M52A2 5 ton tractor pulling a M146 office trailer. 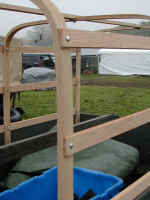 Another guy who put a whole lot of work into seeing that we had a top notch event. 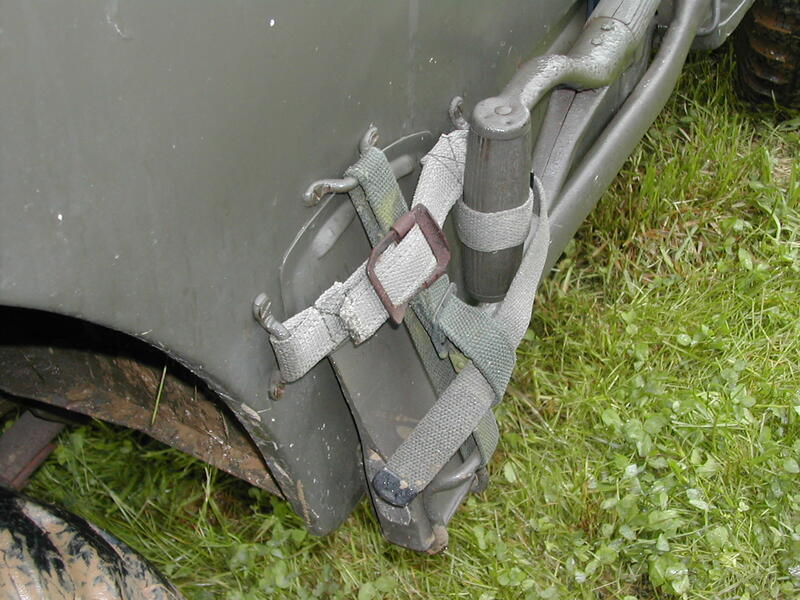 27 Backside of Jim Stead's M35 and the backside of Jim and his dad (with the MP armband). 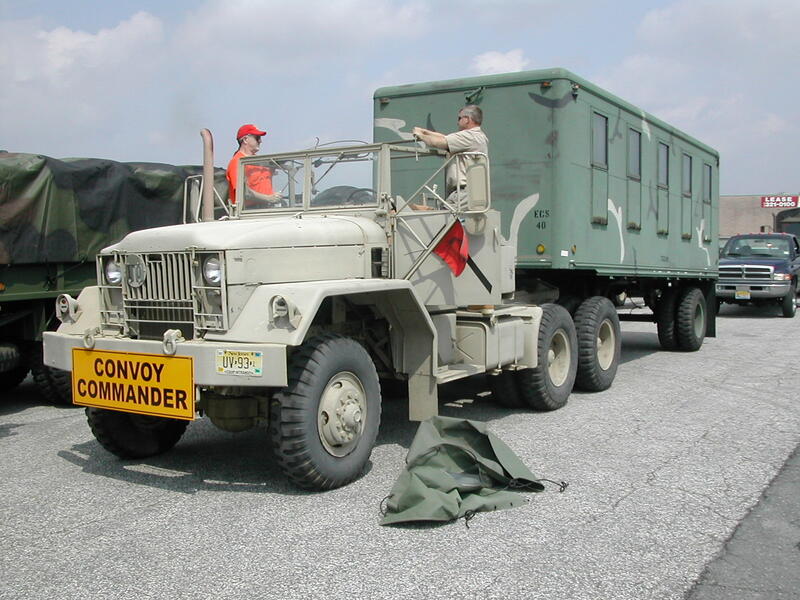 Jim acted as the Convoy's Communications Commander and did a great job keeping everyone in touch for the journey. 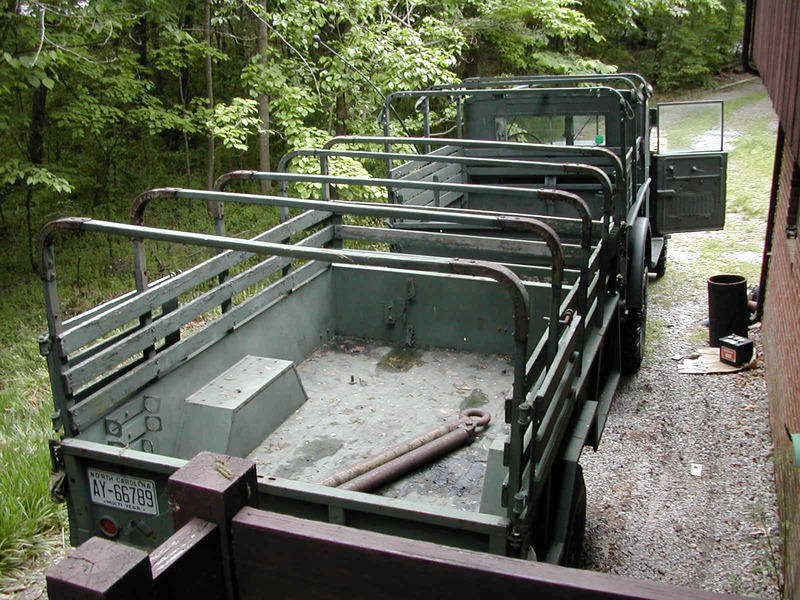 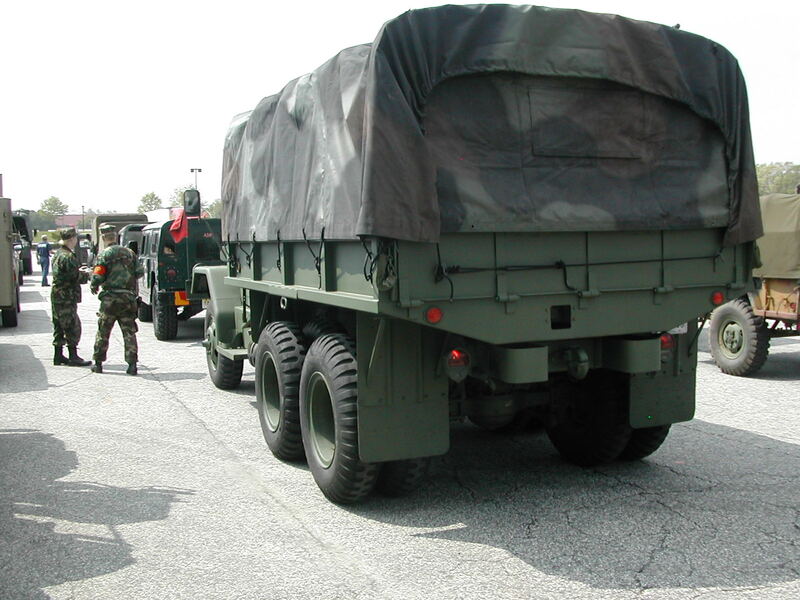 30 67 m416 trailer at the staging area in Maryland that is owned by Claude Bennett of NY. 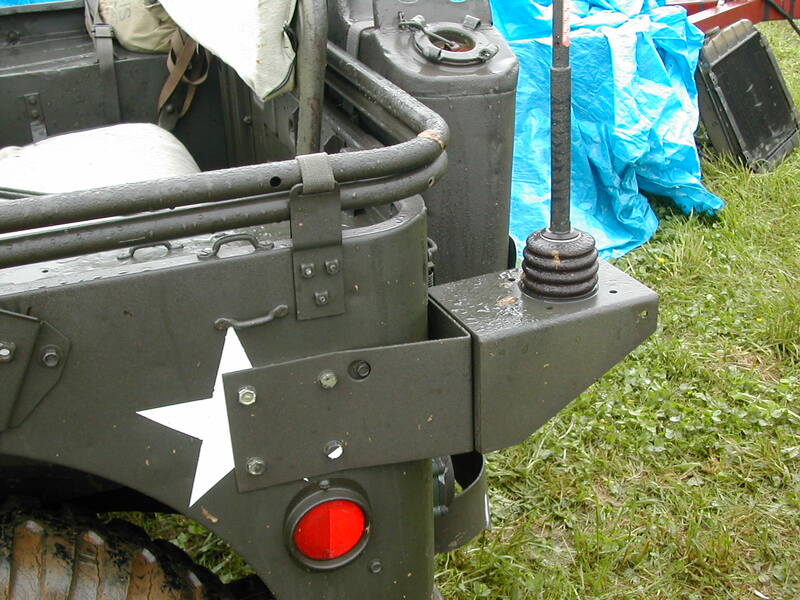 36-37 Shot of my M101A1 just after we started to set up camp in the vendor area of the field. 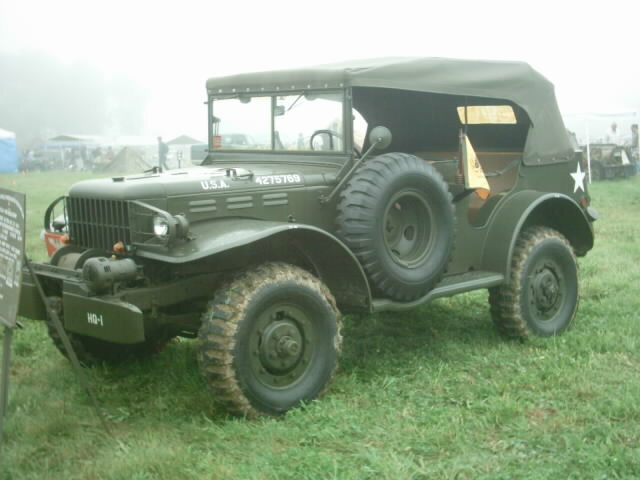 38 John's M35 just after he pulled into his spot next to mine in the vendor area. 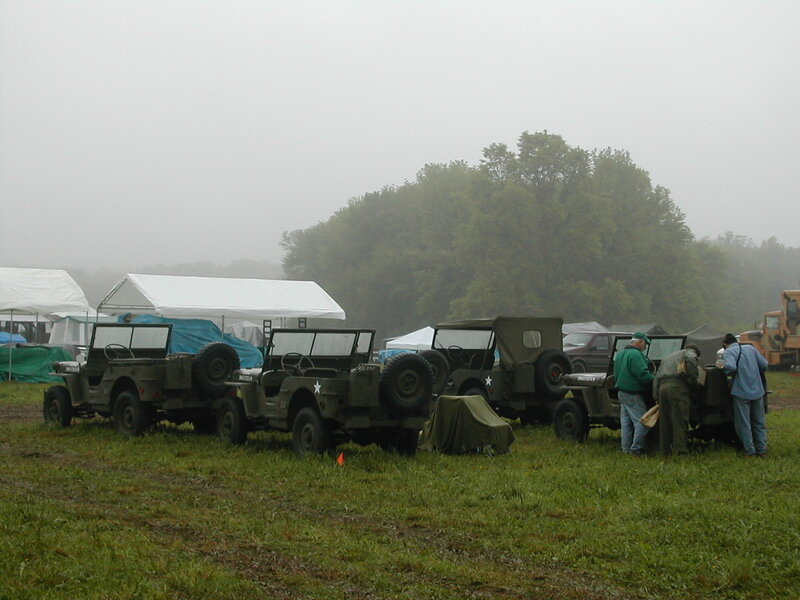 39 Collection of WWII jeeps that was for sale next across the vehicle path from our campsite. 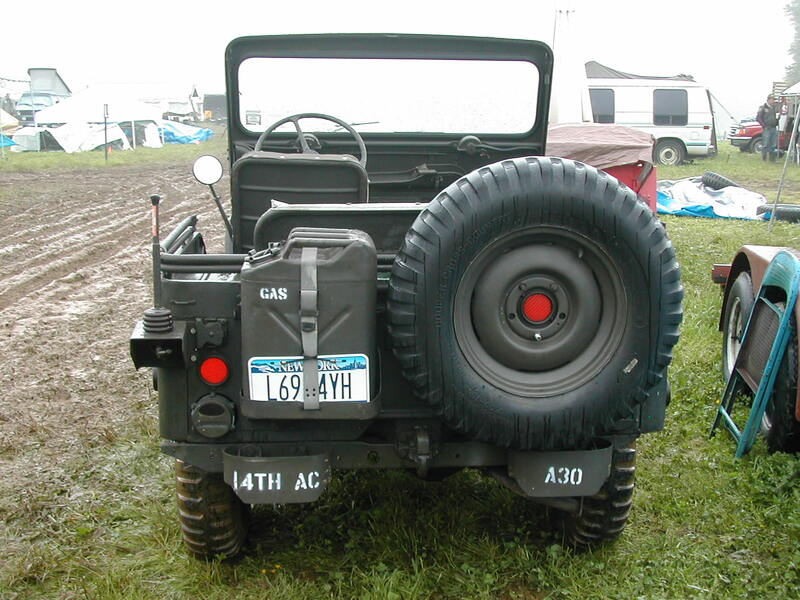 41 View across and to the left of our campsite. 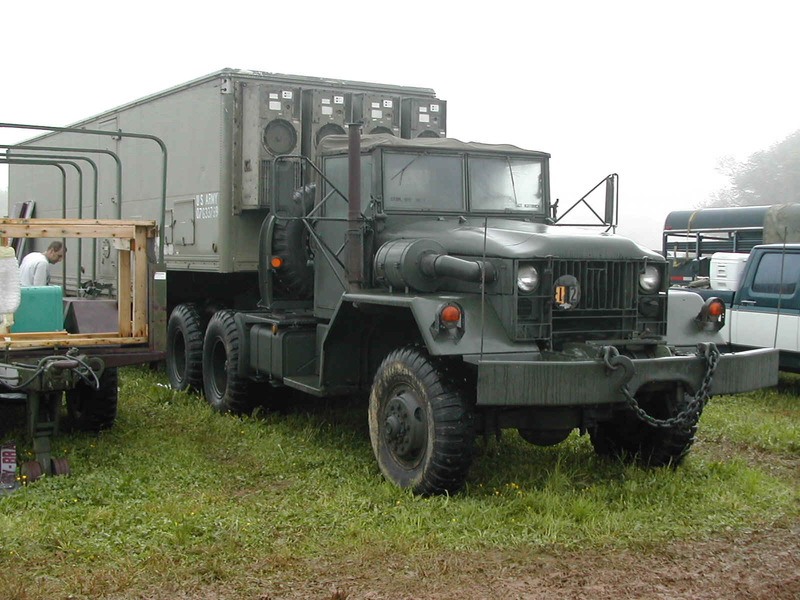 Fellow had a larger generator and trailer for sale. 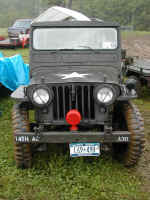 42 Collection of WWII jeeps that was for sale next across the vehicle path from our campsite. 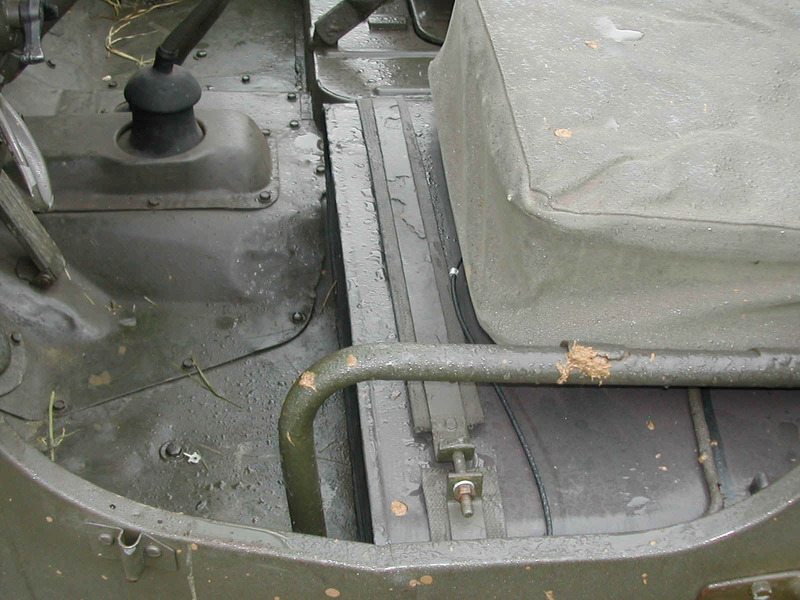 43-47 Don's USMC M38A1 that he parked next to the Beechwood Canvas tent in order to give us a little more room in our camp area. 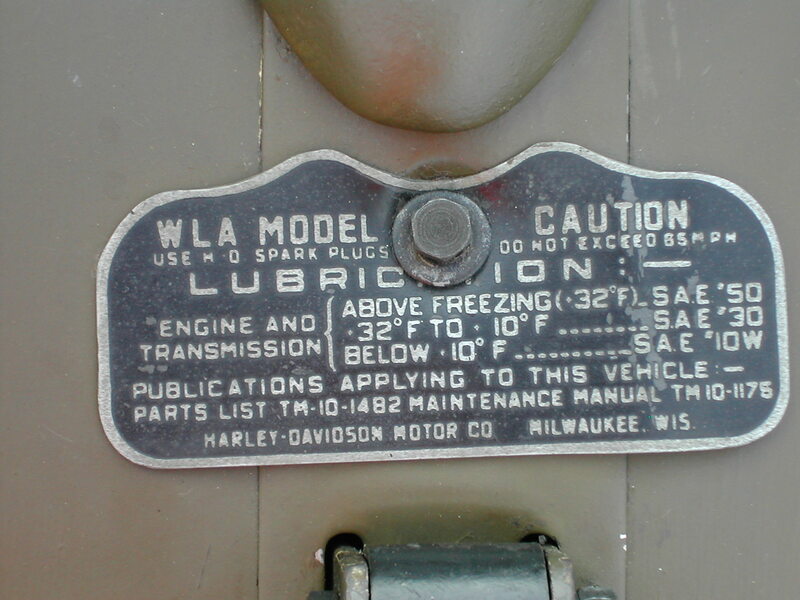 (The Beechwood folks liked the idea of having it by their font door...). 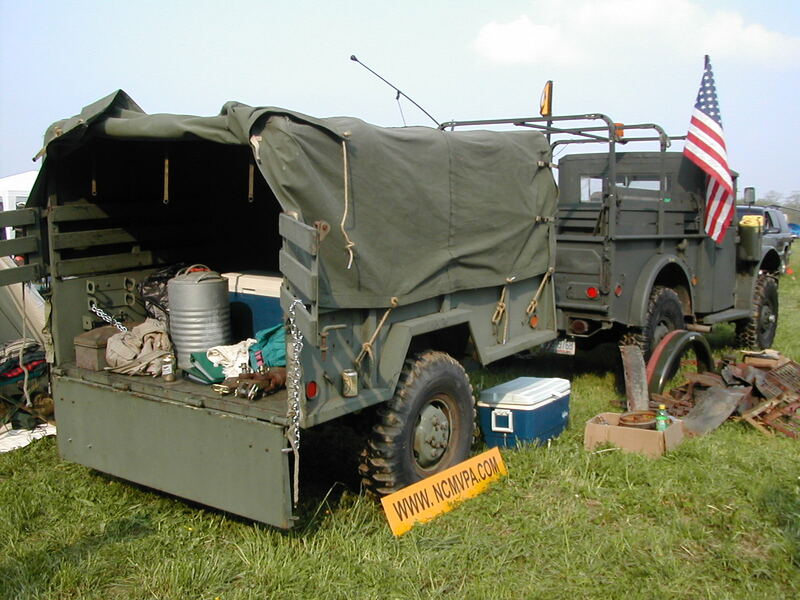 66 Heck of a camper. 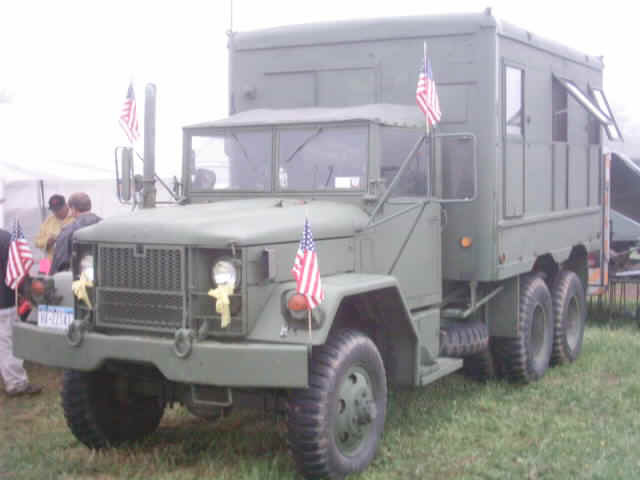 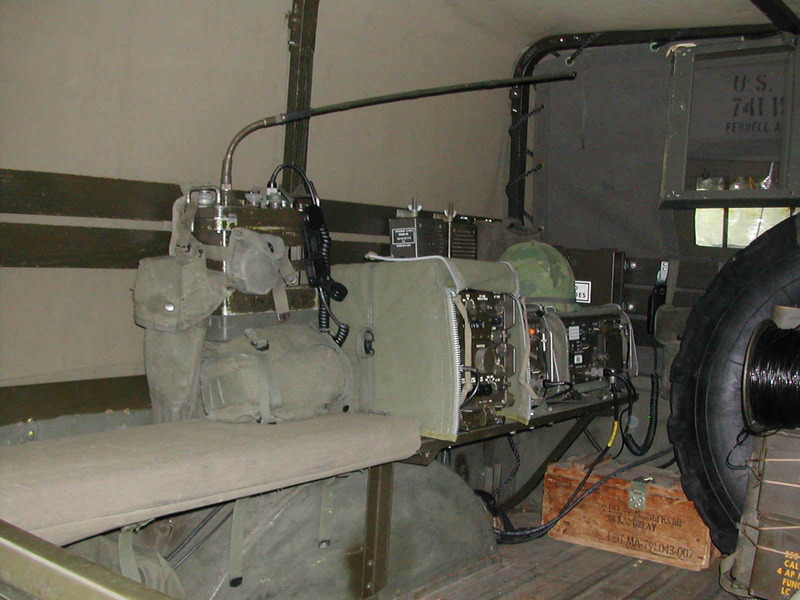 Jeff from tacticaltruck.com's combination of M54A1 (Mack powered) tractor and M348, 6 ton electronics van. 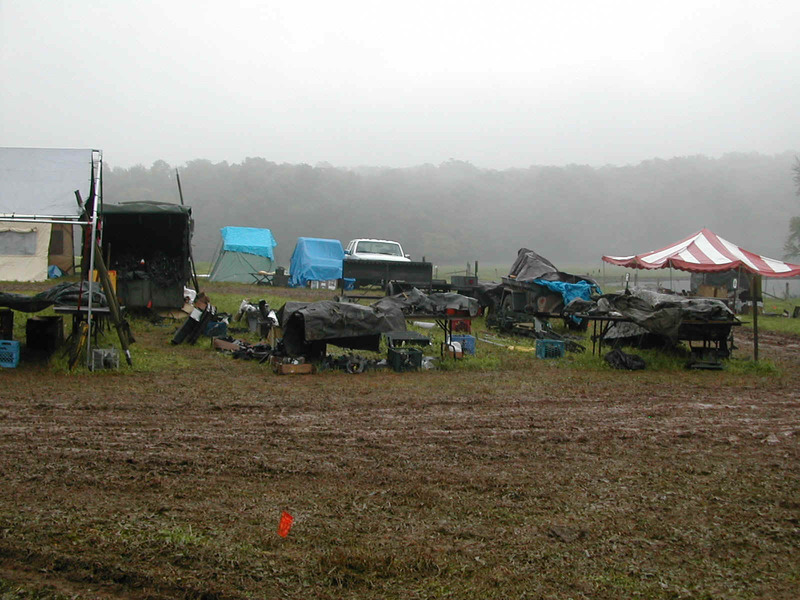 67 Shot of the mud on the other side of the vendor area from our campsite. 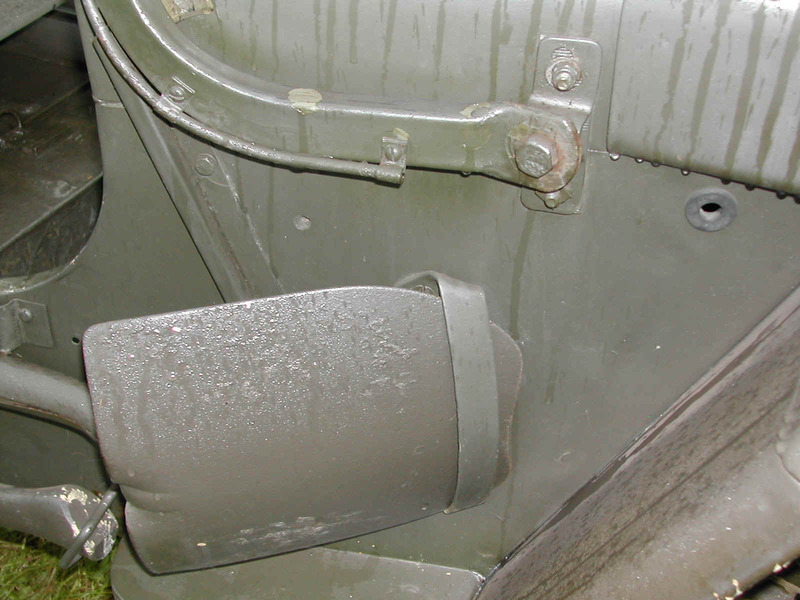 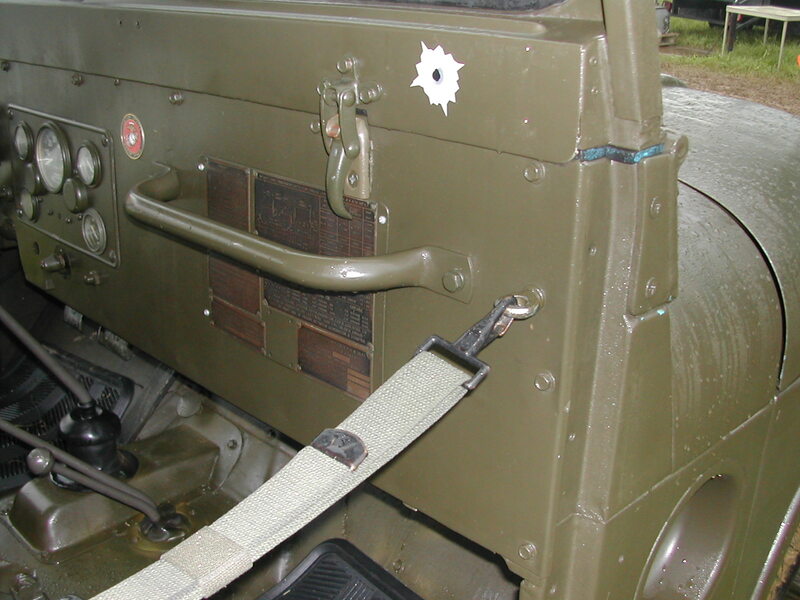 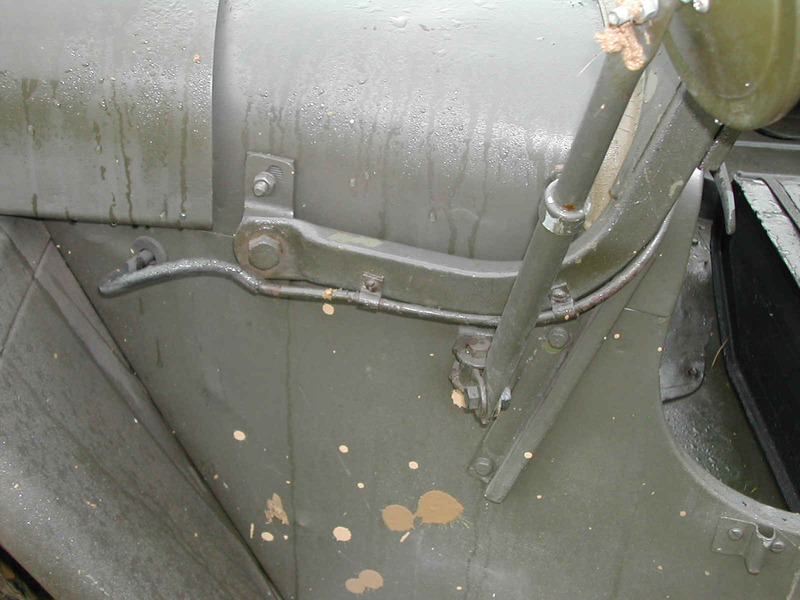 69-72 Shots of Gerry Zell's well equipped M37 with the radio gear in the back. 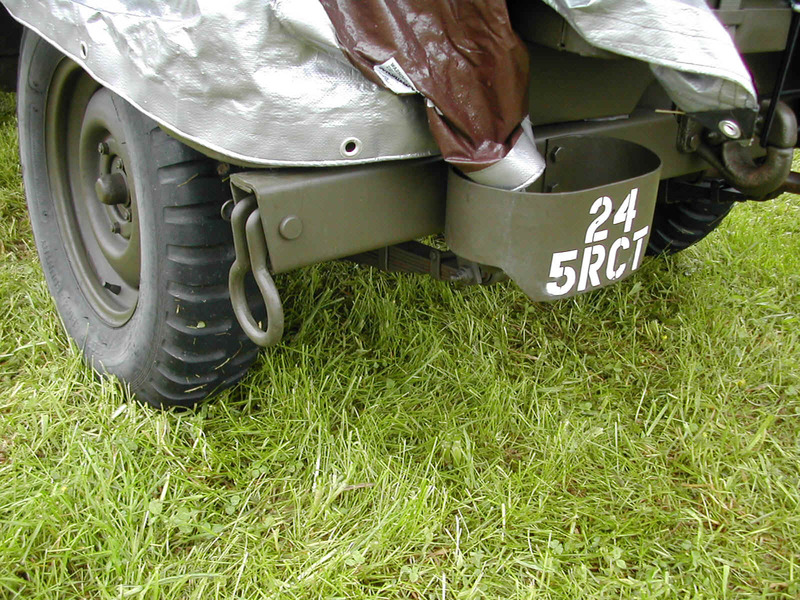 73-74 Really nice work on the trailer bows. 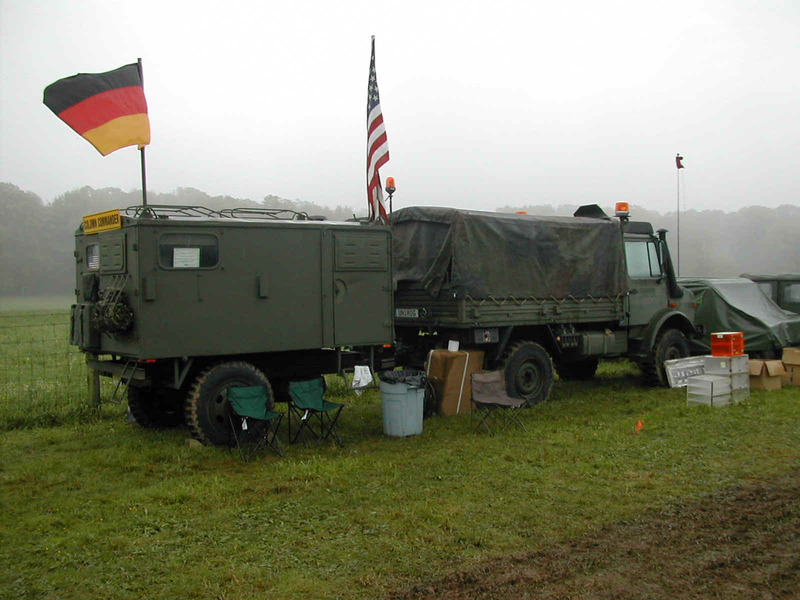 75 Mike Popovitch's Unimog and trailer parked on the far side of the vendor area from our site, but right in the middle of the section that his fellow MTA members were camping in. 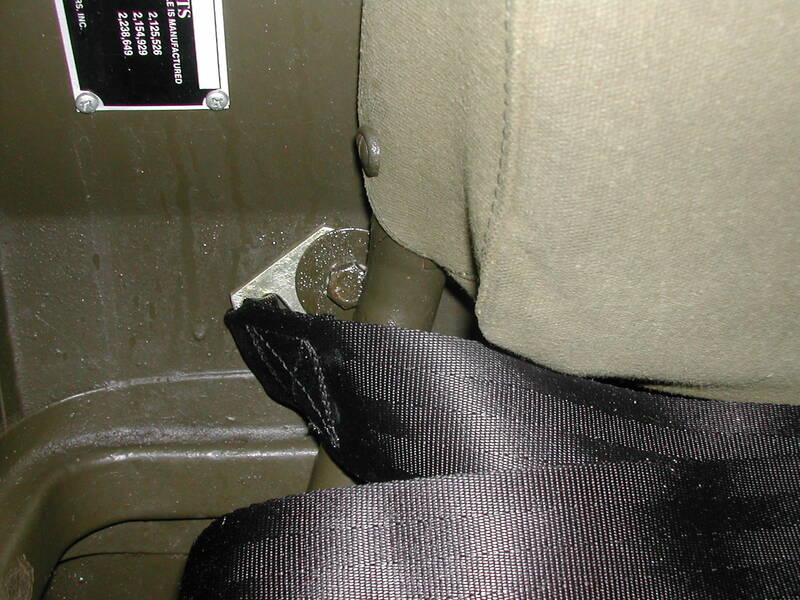 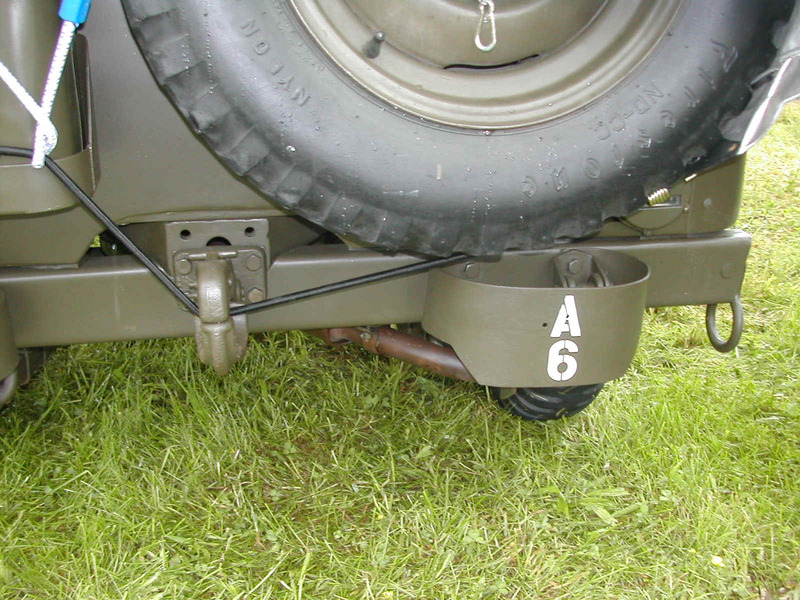 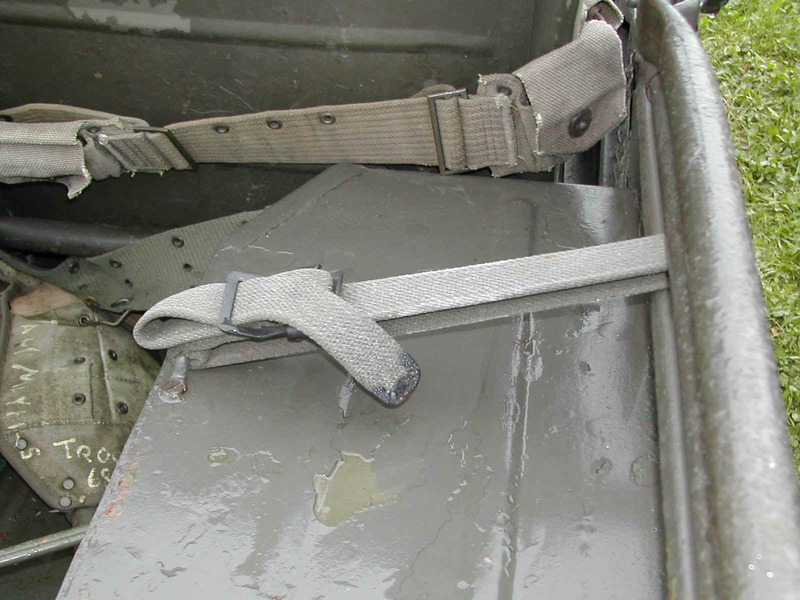 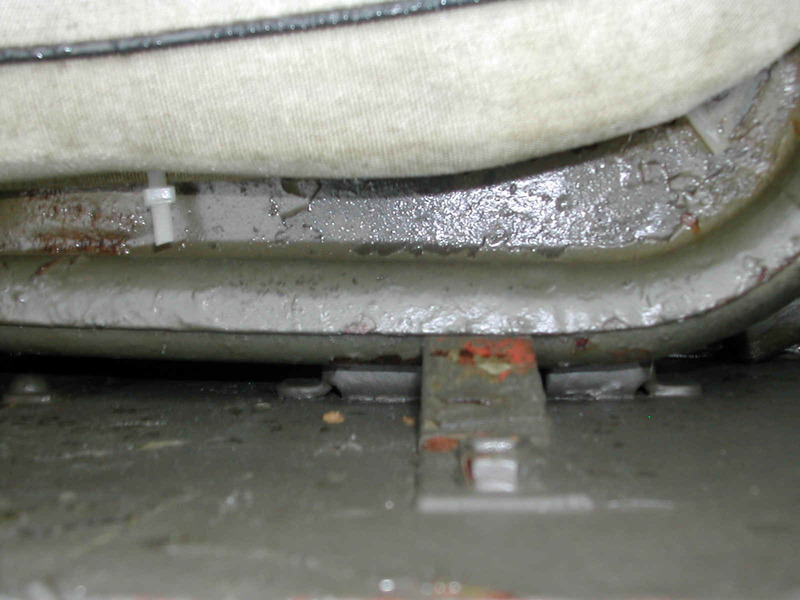 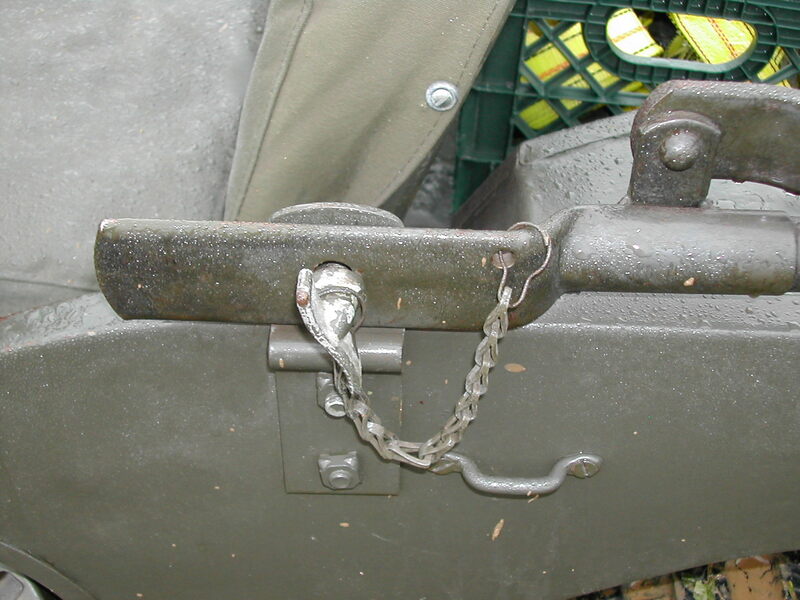 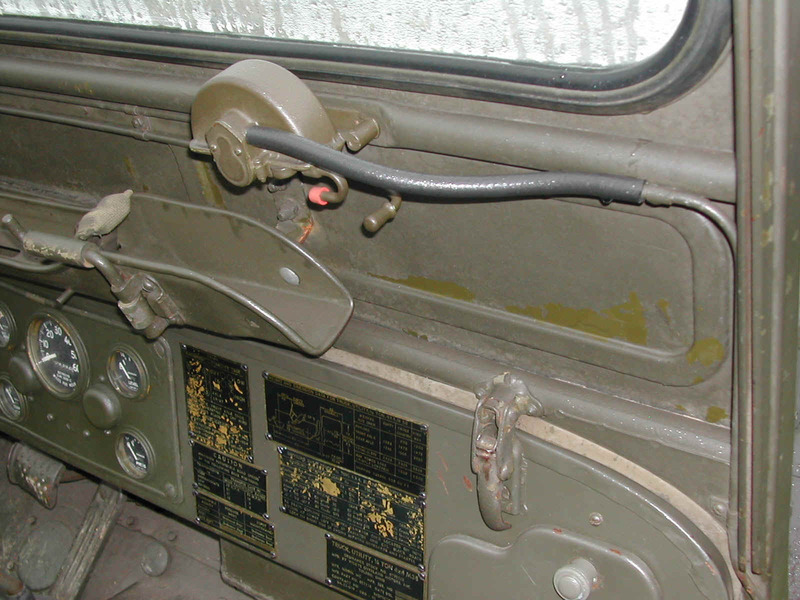 76-77 Detail of the USMC lifting shackle conversion on the rear of a M38A1. 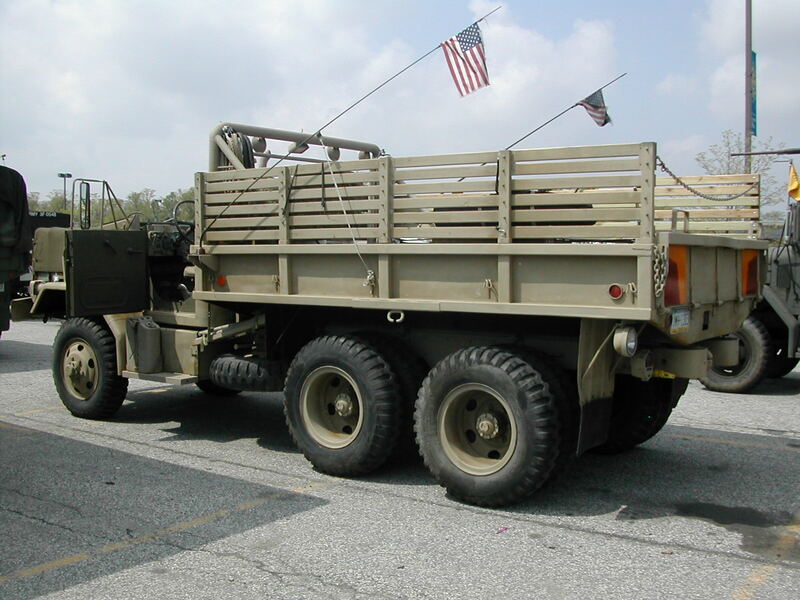 78-80 M37 with a custom soft top (notice the curve to the bow) and a nice tow bar mount on the front bumper. 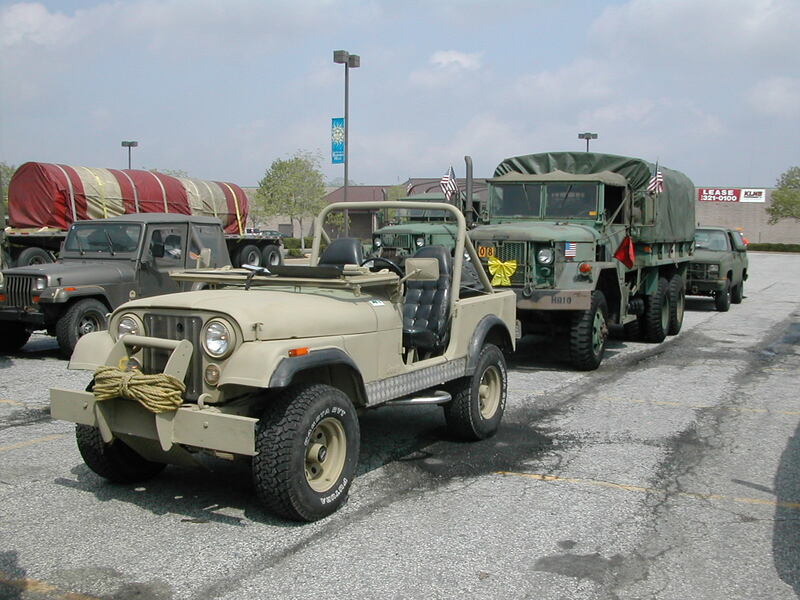 82 My M37 with M101A1 in tow heading out of the show with Eric's M37 right behind. 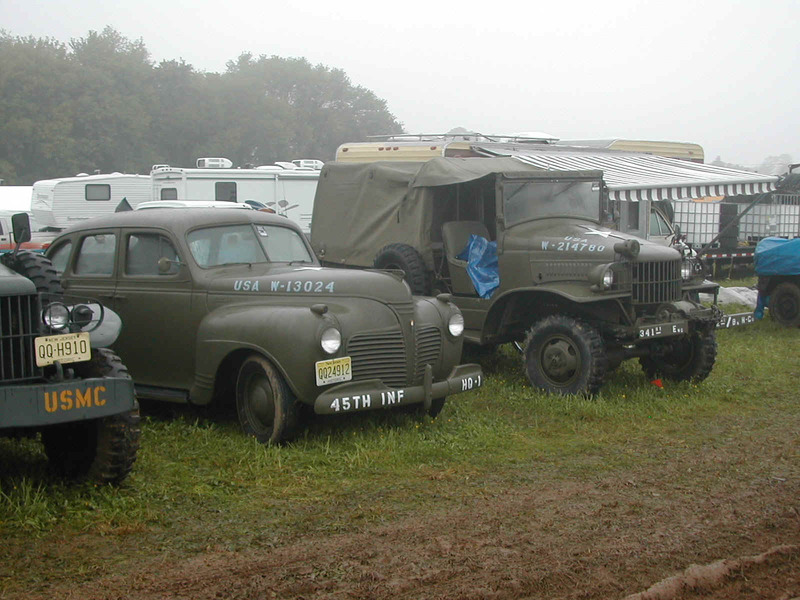 A whole lot of folks in the Chevy military pickups and blazers as well as folks in civilian rigs had a lot of trouble with the mud, but the M37's just slogged on through it to the entrance, only held up by other folks who had gotten stuck. 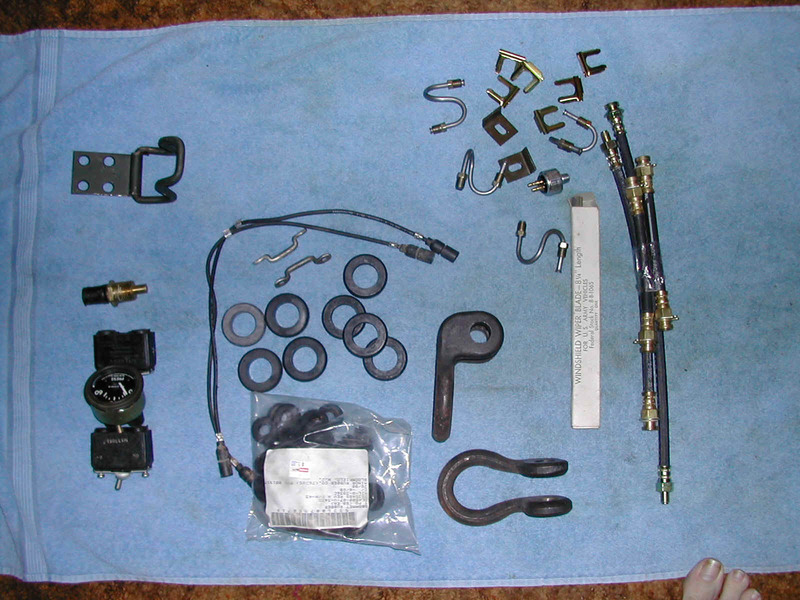 83 Shot of a few of the M38 parts that I purchased. 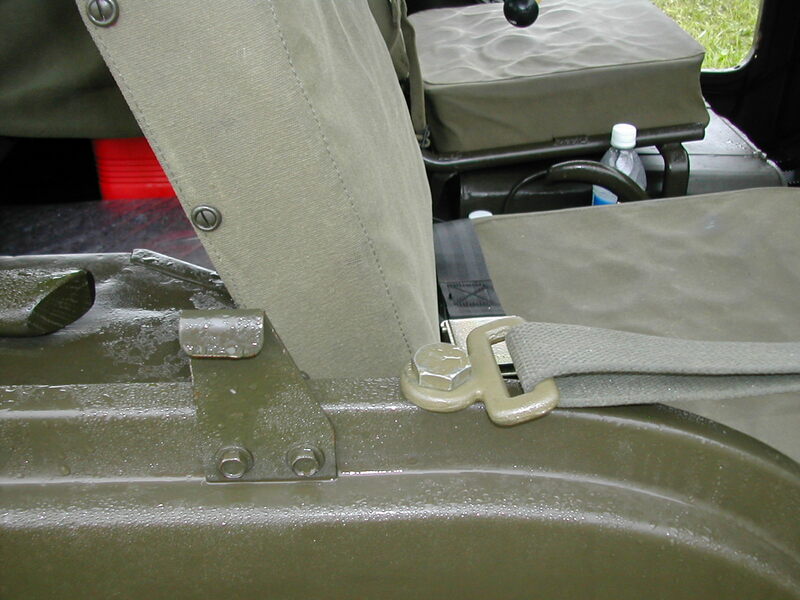 Captions for Kenny Grantham's photos. 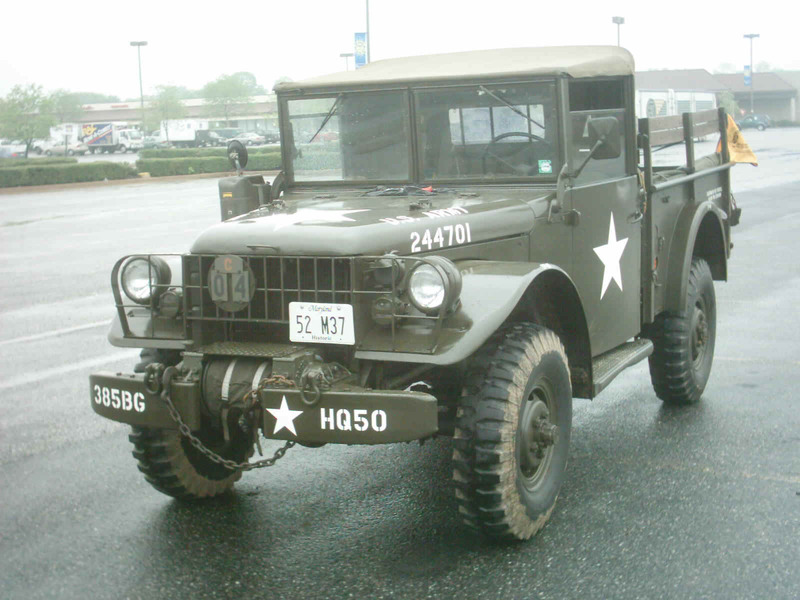 84 Blake Sheppards' M37 from the Tidewater area of Virginia. 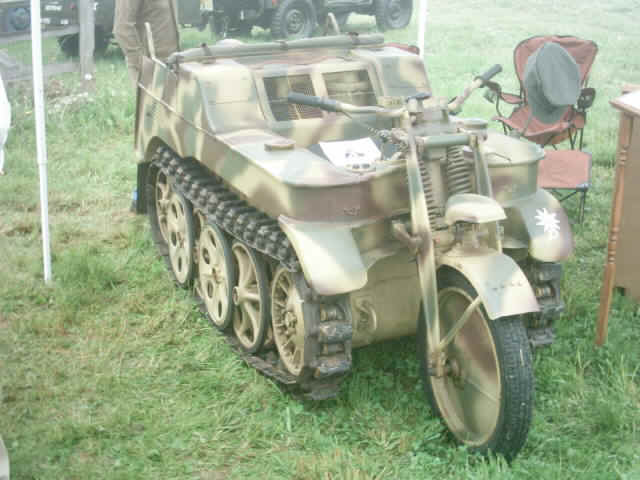 85 1944 Kettenkrad owned at that time by Phil Ulzheimer but since sold to Chris Loiselet. 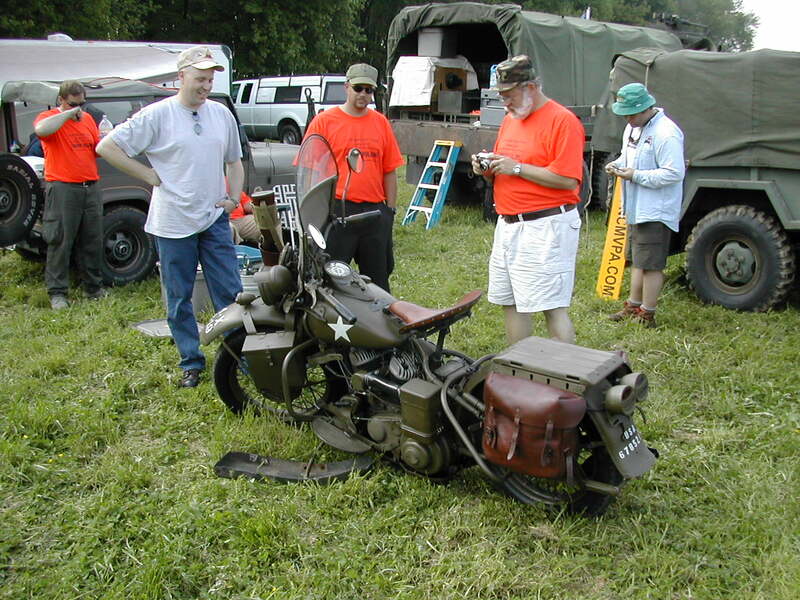 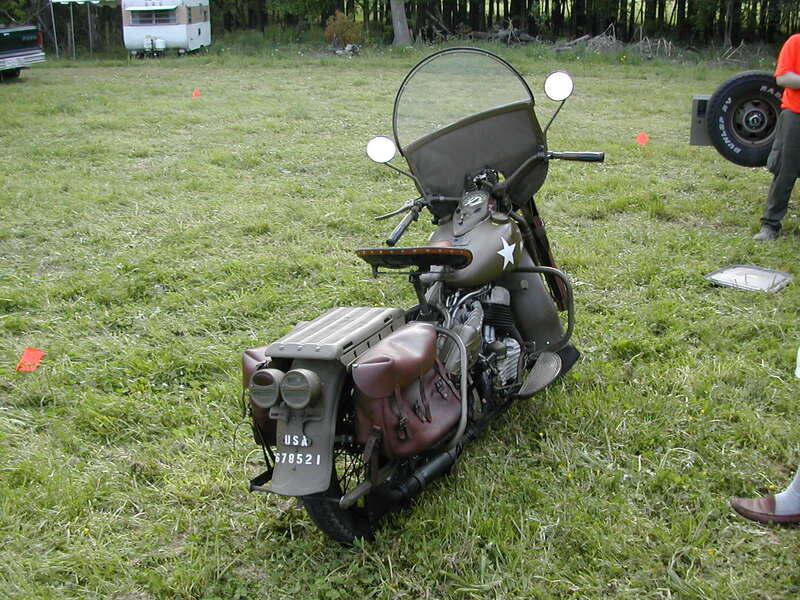 It was a co-winner of the Best in Show award. 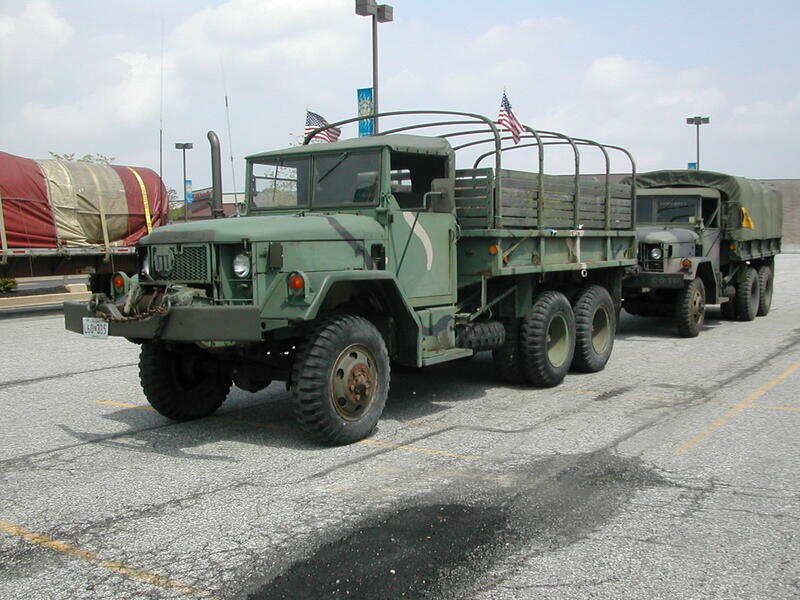 86 M38 with Tim Hardin's M37 behind it (still in the blue civil defense paint job) that came down from Martinsburg, WV. 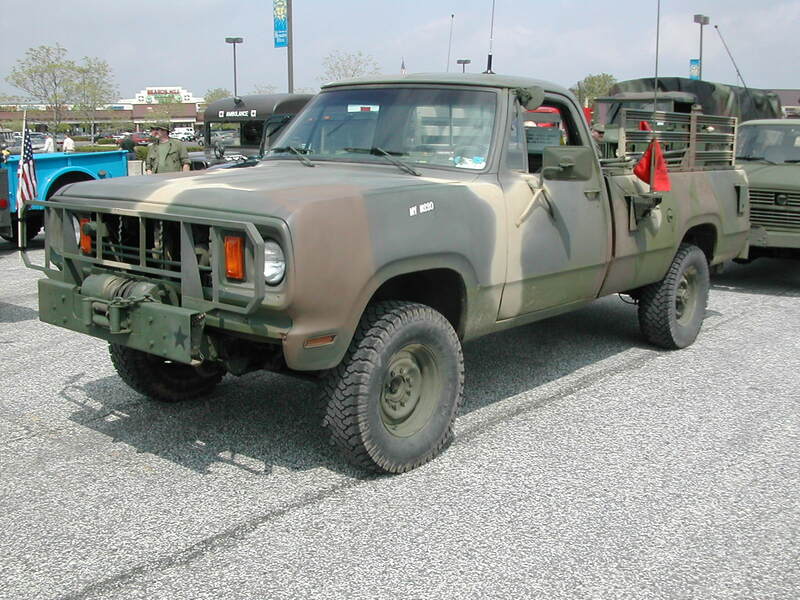 87 Dodge WC?? 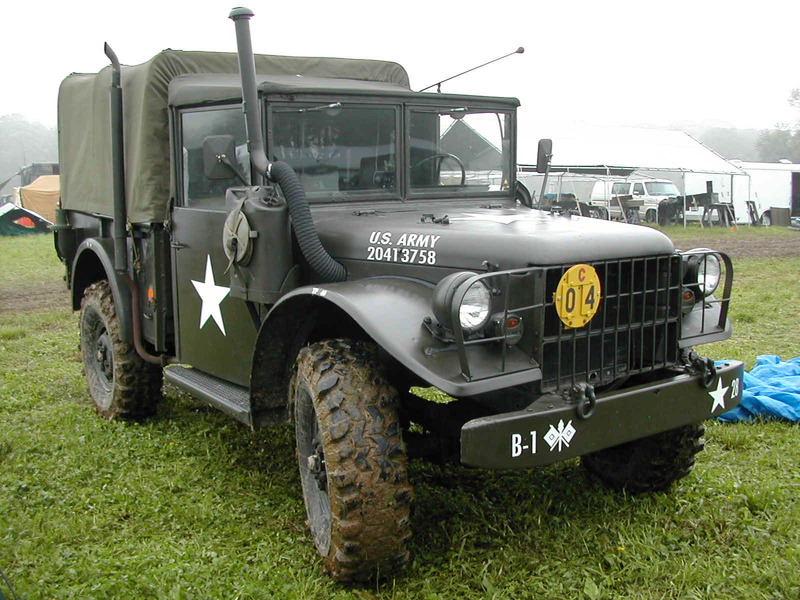 Command Car. 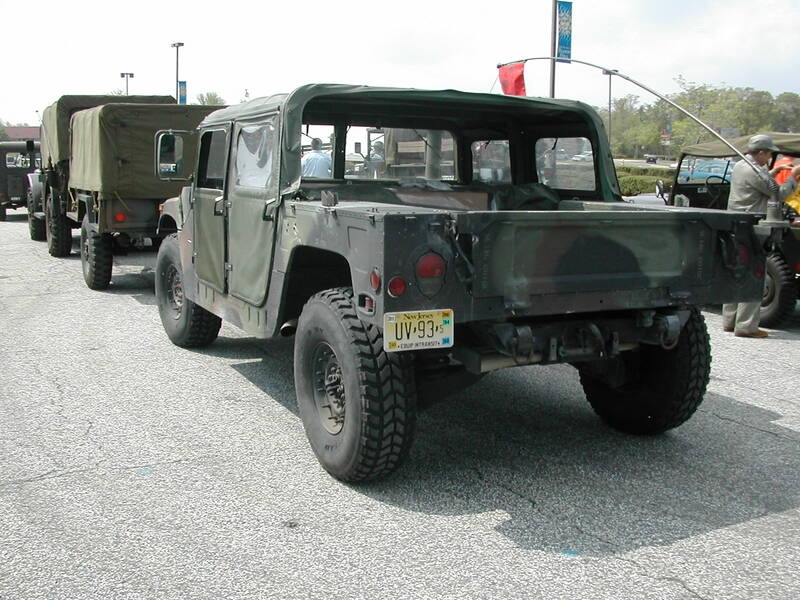 91 Eric Wright's M37 from the Annapolis, MD area. 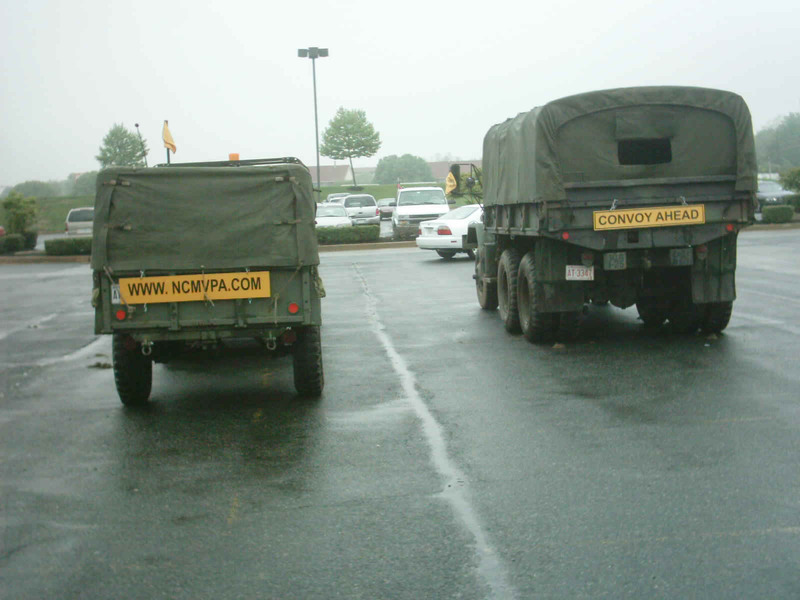 92 Rear view of my M101A1 trailer and Brandon's M35 just before we left the Golden Coral in Churchville for the return trip to North Carolina. 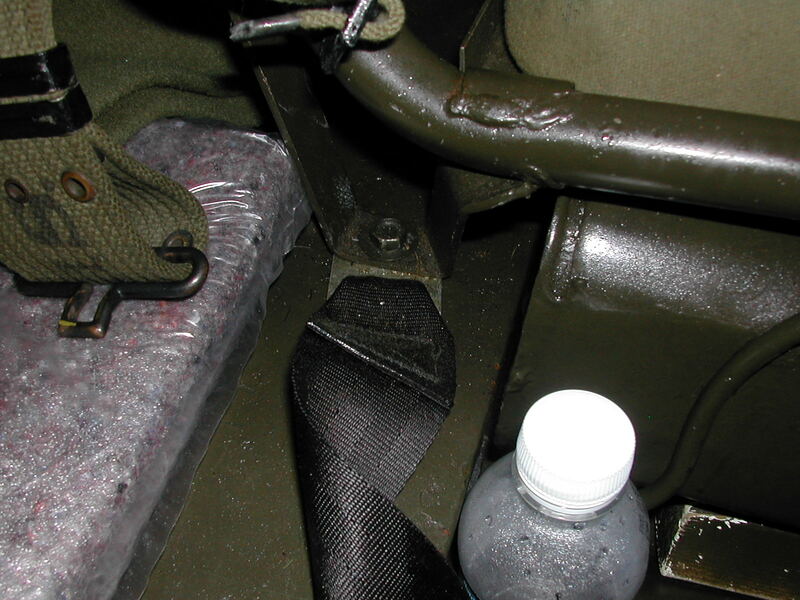 93 Using Brandon's creeper to check gear oil levels in my M37 before the ride home. 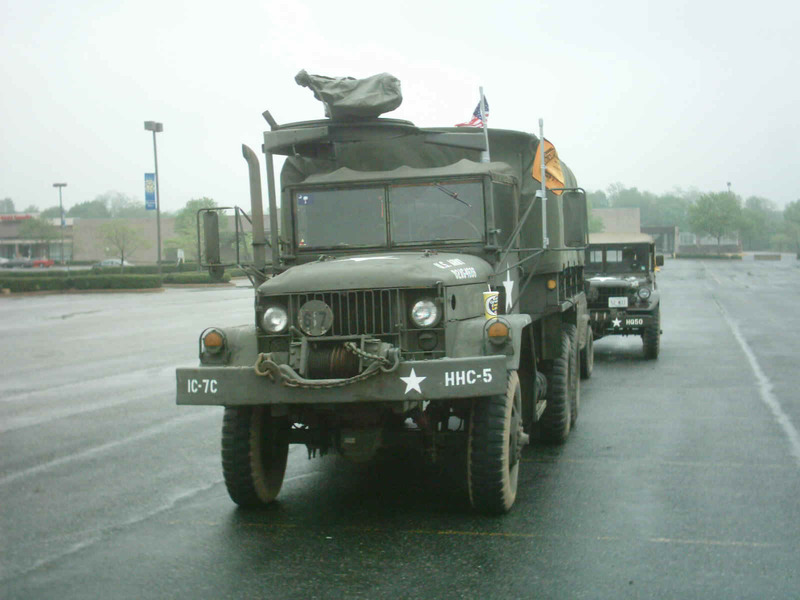 94 Joe Trapp's M35 with Eric Wright's M37 behind it as we get ready to depart for home from the Golden Coral. 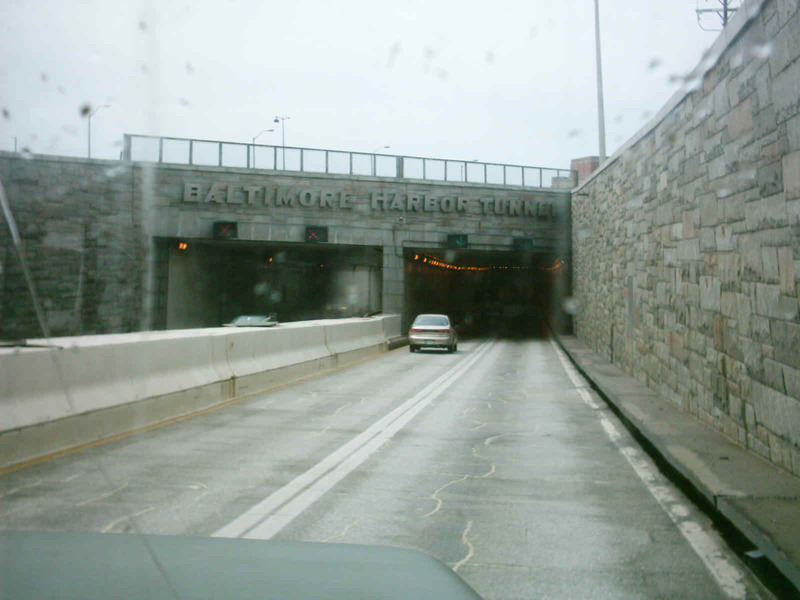 95 Entrance to the Baltimore Harbor Tunnel. 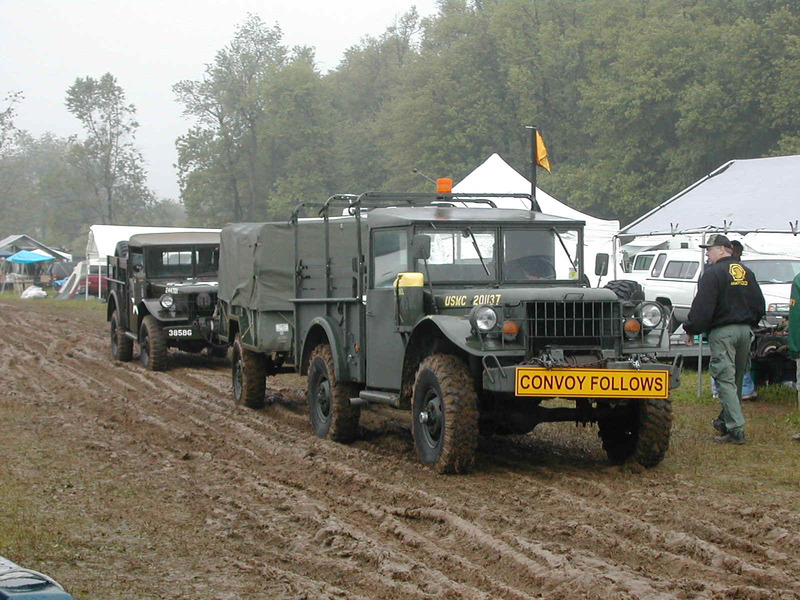 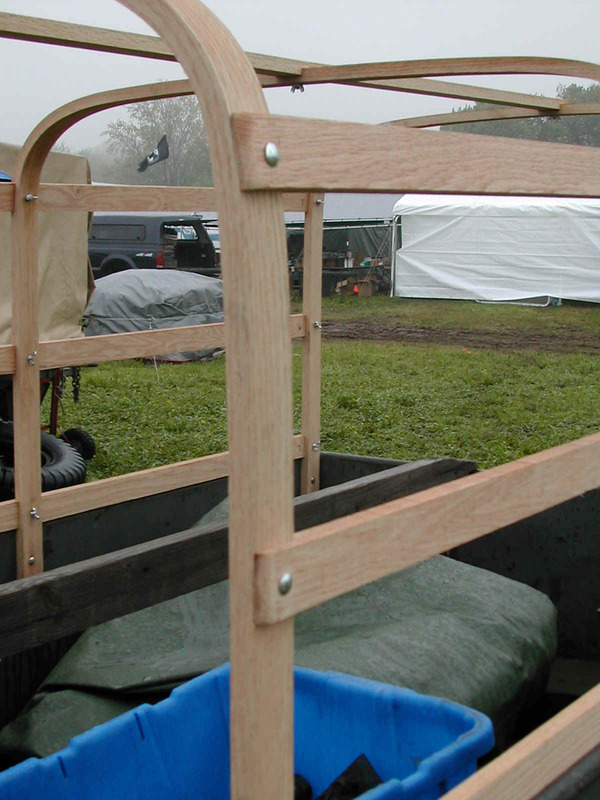 The 2003 East Coast Convoy home page. 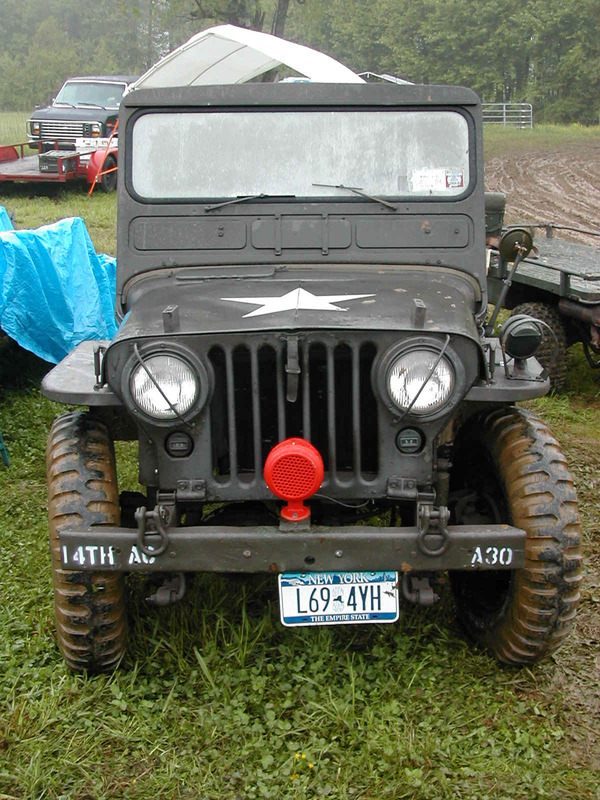 The 30th Annual East Coast Rally home page.